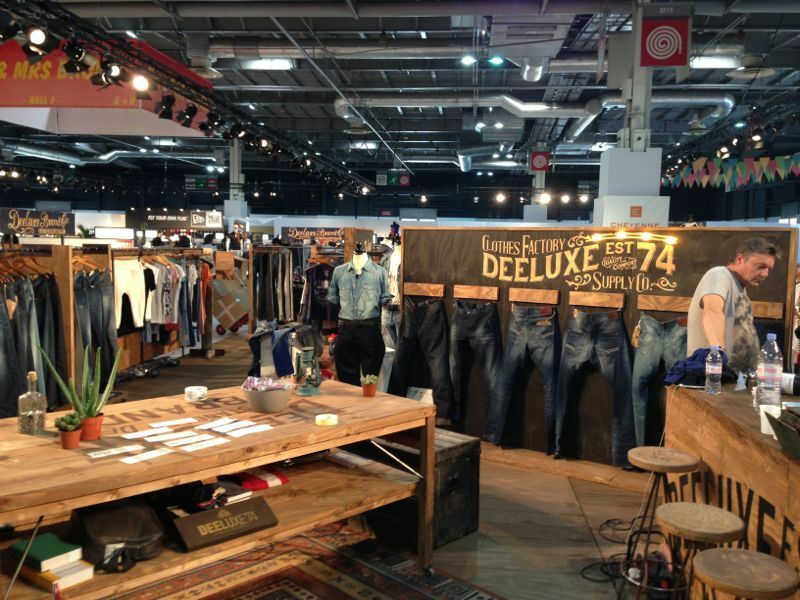 Apparel Sourcing Paris: the meeting place to display the best solutions in fashion! Avantex Paris: High Technology meets Fashion! ARCHITECT@Work Paris, an unique and innovative exhibition that you can't afford to miss! 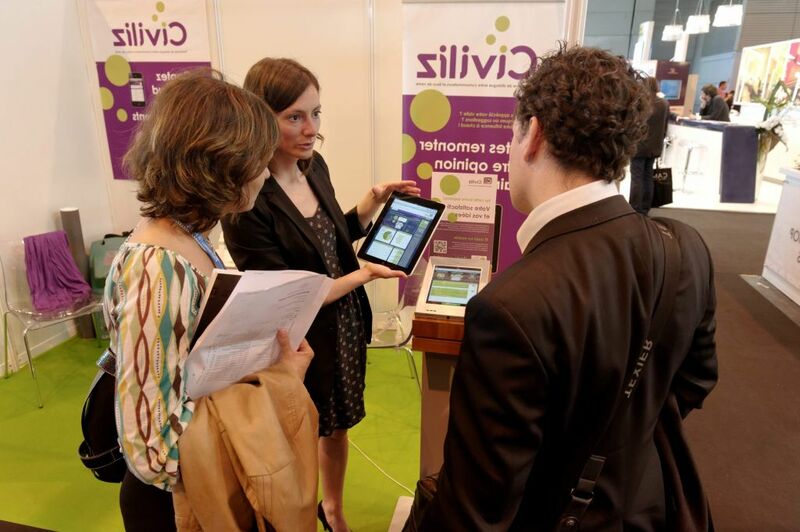 ELearning Paris, a trade show dedicated to the Education & Training industry! The EWEA Annual Meething is an unmissable event for every expert of wind energy! HR Tech World - the world's foremost Congress & Expo for Global HR leaders! CoGEN: how will genetics technology drive the future? Exhibit at Bijorhca Paris, the International Fine, Fashion Jewellery and Watches show! POST-EXPO, one of the best sales and marketing platforms in the postal, parcel and courier industries. 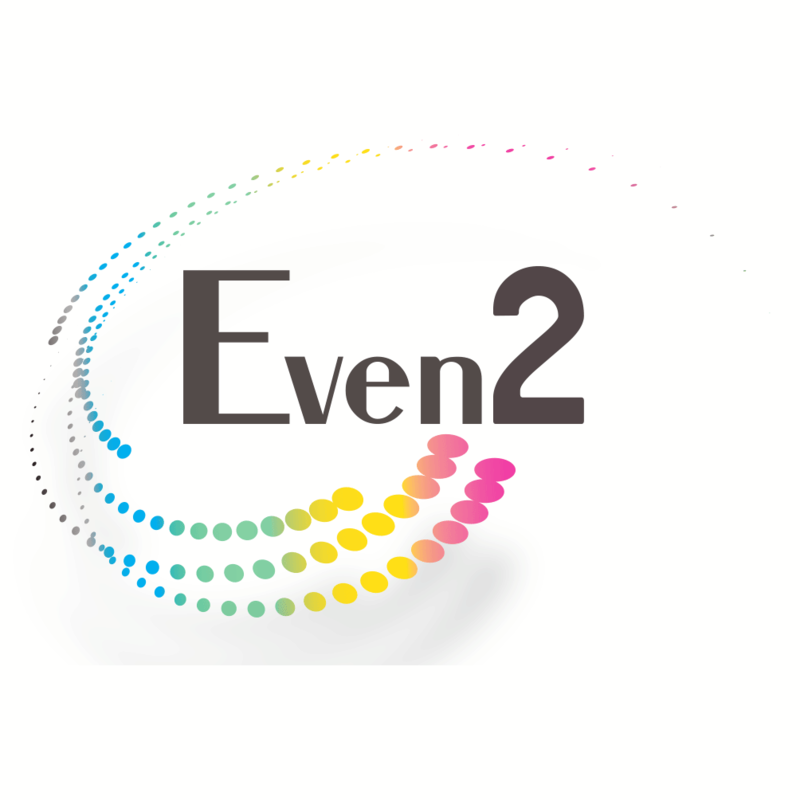 Heavent Paris, an event for the events industry! Interfilière Paris, a leading intimate fair! 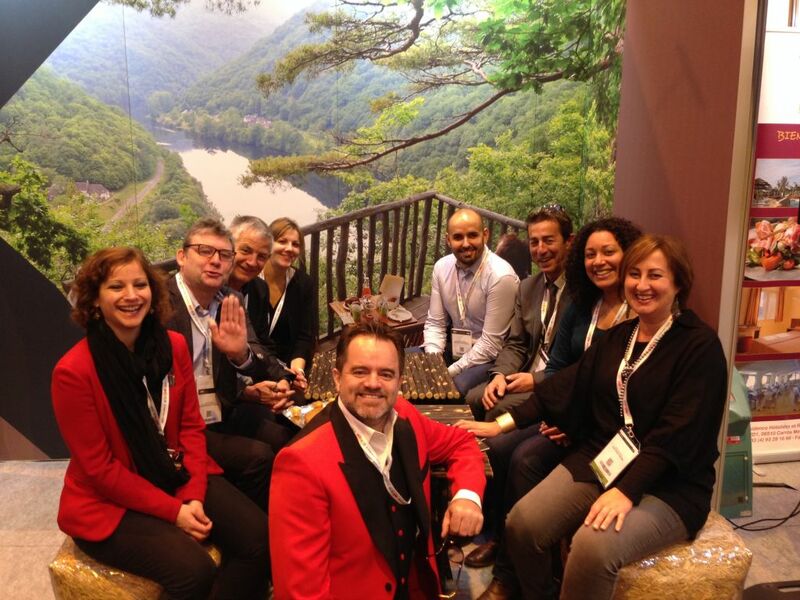 FI Europe goes to Paris! Who's next? Paris says You are! specialist for Paris. Contact me if you need a Stand in Paris. Held in Paris, the Salon International de l’Aéronautique et de l’Espace is a world-class networking and innovation hub. It is, undeniably, a major highlight in the Aerospace economic calendar: it is a key meeting point for the industry's top brass and chief players! In case you need an Exhibition Stand for this trade fair or any other, contact us! Our team of experts in fairs will be delighted to introduce you to the best contractors in France! Aircraft (18%): construction, assembly, etc. Subcontracting (11%): electrical, electronic mechanical engineering, etc. It is the aeronautical show with the most media coverage in the world, with 10,000 reports in four media! As you can see, this is a unique opportunity for you to communicate your expertise! The perfect stand for PGW! 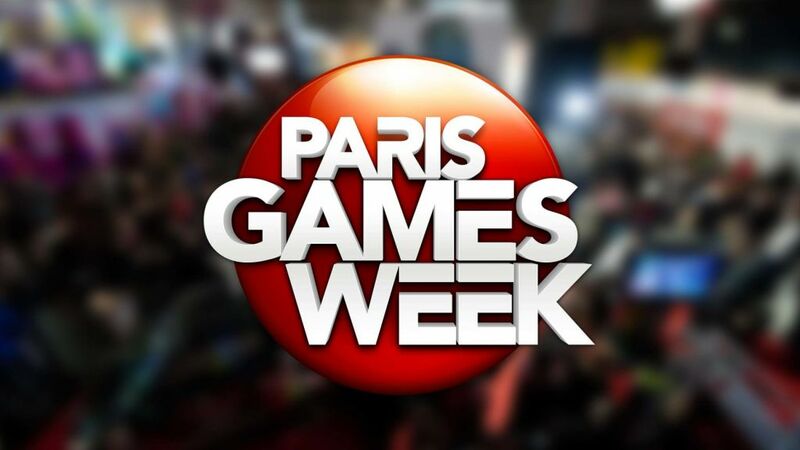 Paris Games Week (or simply PGW) is the 2nd world exhibition dedicated to the video game universe. It welcomes a very wide public today; it is the intergenerational meeting which gathers gamers, communities, enthusiasts but also families! If you're going to exhibition this fair and you need a stand, let us know! Our team of experts in trade shows is going to introduce you to the best Stand Contractors in Paris. HP, Samsung, Arcade&Co, Windows10, BigBen Interactive, Hall of Geek, Game Legends, Thermaltake, JeuxVideo, Corsair, FNAC, ROCCAT, Sega, Ubisoft, Xbox One, Pary Matching, Roccat, Desert Bus, Deep Silver, Ricohm Gunnar Optiks, Nintendo, HTC, 2K, GrosBill, Eclypsia, Steel Serioes, Scup Gaming, 2K, Square Enix, Asus Rog, Zotac, Dotemu, TeamSpeak, Activion and Fanny's Party! 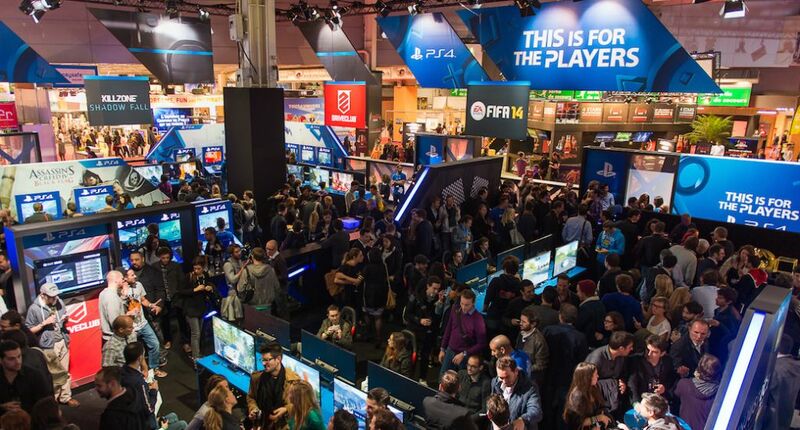 Paris Games Week offers you the opportunity to source/display: 8th generation consoles, video games, game accessories (controllers, keyboards, ...), virtual reality headsets, E-Sport (ESWC - video games world cup, ESL), and plenty more! This event also features the: Paris Games Week Junior, a dedicated space to families in partnership with PédaGoJeux, independent french studios honored in "Jeux made in France" area led by Capital Games, schools & career’s opportunities in video game industry in association with Game Paris Talents, retrogaming, conference room with original manga projections, exclusive events... and so much more!! Absolutely unmissable! Join Parizza and reach out to new target audiences! 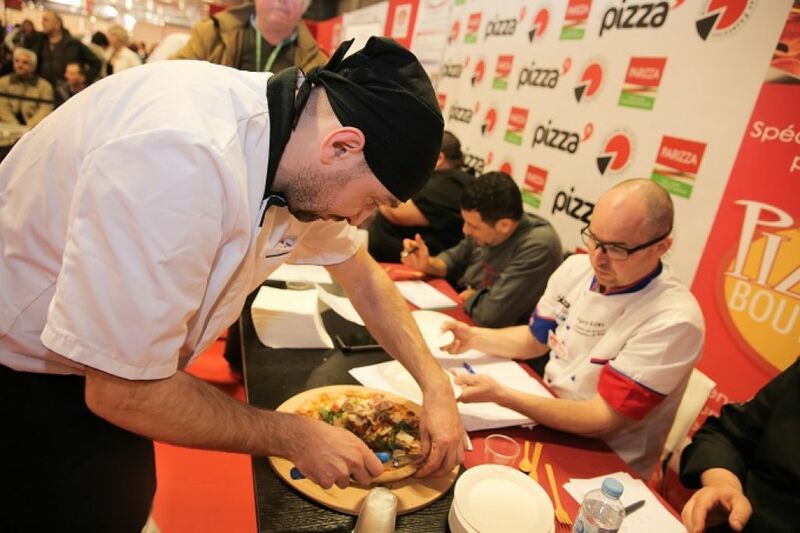 Held in Paris, Parizza is the definitive event for pizza, pasta and Italian catering professionals. 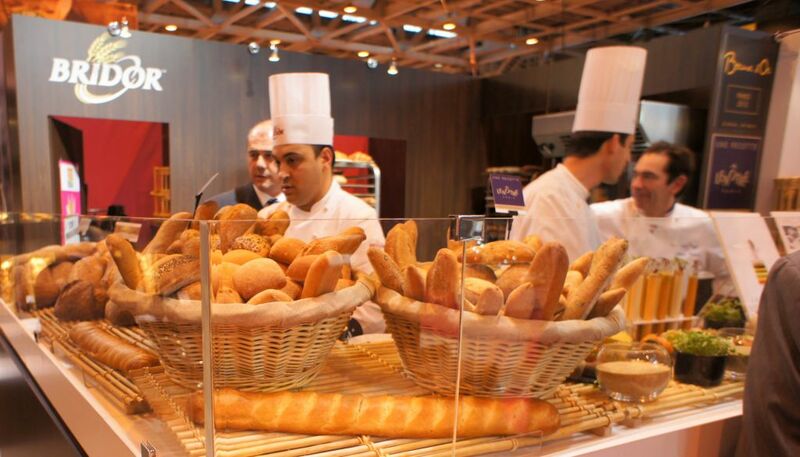 Usually held in conjunction with the Sandwich & Snack Show and Vending Paris, this trade fair is an unparalleled business gathering! 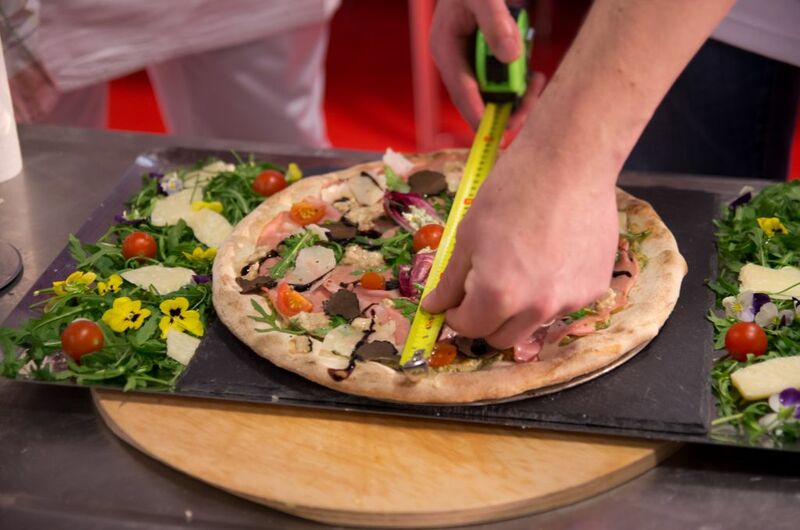 Attracting over 100 brands (mainly from Italy and France) and 15.000+ visitors, this show presents the ultimate trends, ingredients, equipments and related services. 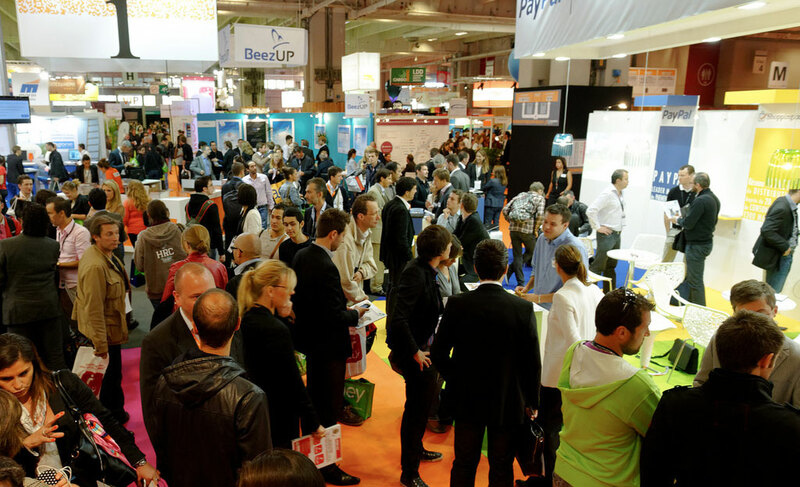 If your exhibition space has already been confirmed, now its time to find the perfect Stand Contractors in Paris! Tell us what kind of stand you've been dreaming of and we'll introduce you to the perfect designers and builders! Equipments: kitchen equipment, packaging, software, etc. Food Products: bakery, cakes, beverages, dairy, cheeses, fruits & vegetables, ingredients, meat, pasta, pizza, ready-made meals, sauces, oils, seafood, etc. Service: schools, trainnig institutions, service supplies, consultants, etc. 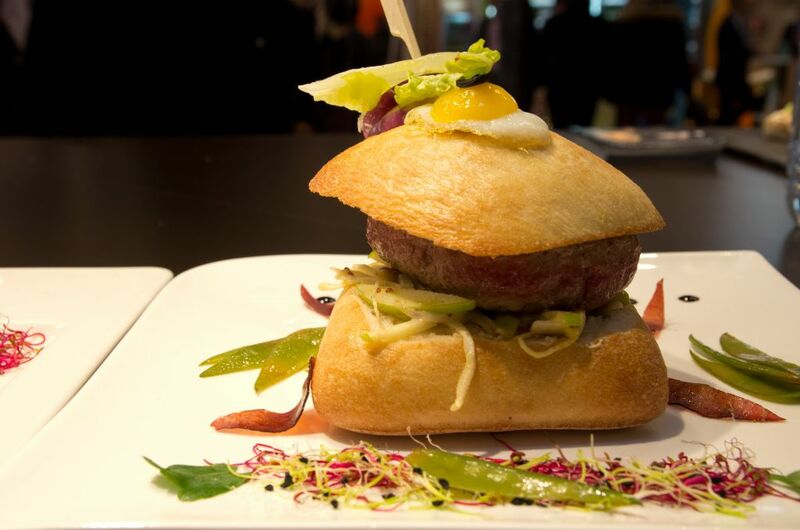 Parizza attracts many renowned companies, such as: Adial PizzaDoor, Giorik, Greci France, La Ferme Du Clos D'Artois, Loragrom Marana Forni, Moretti Forni Italy, Mussana France, Poptel, Raffinvini Depuis 1995, SOPRO France, Skytill, Scootlib, Surgital France, TecFrigo SPA, The Best Made in Italy, Valmartin, Zanolli Italy and Carniato Europe. Join them, identify trends and get inspiration for your product innovations! This is also an unique opportunity to forge new partnerships. 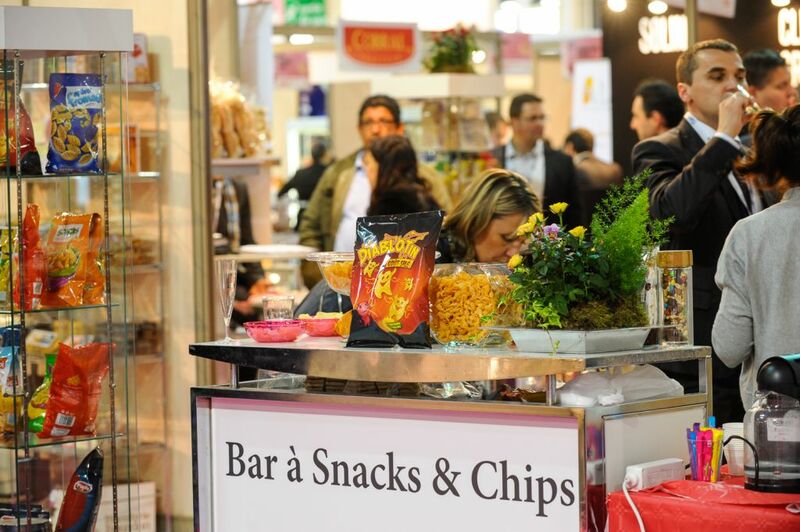 European Sandwich & Snack Show is the definitive European meeting place for snack food and food on-the-go. If you need a stand for this exhibition, contact us! 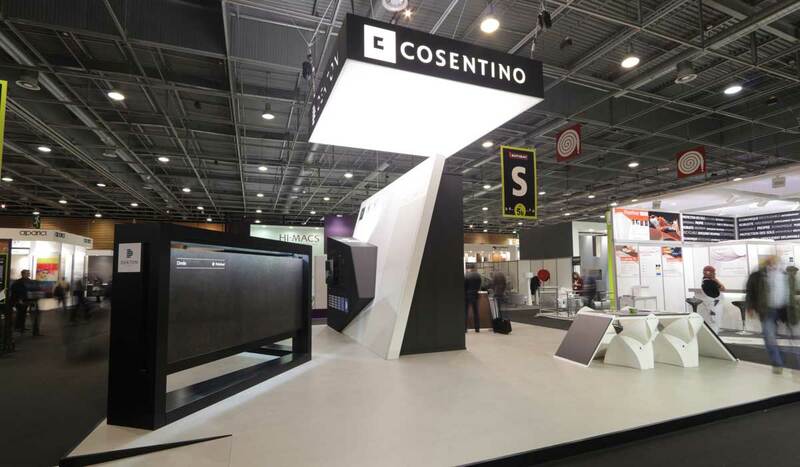 Our team of experts in trade fairs will introduce you to the best Stand Designers in Paris. Tell us what you need and you'll find you the perfect match. Disposable Products: labelling, packaging, disposable tableware, etc. Distribution: beverages, food products, equipments, etc. Equipment: catering equipment, coffee making, food concepts, furniture, utensiles, etc. Food Products: bakery and pastries, ice cream, pizza, pasta, halal, dairy products, salty snacks, seafood, sweets, etc. Services: hygiene, layouts, consulting, signage, press, etc. Technology: control software, payment systems, security systems, etc. Vending Machines: beverages, food products, non-food products, etc. 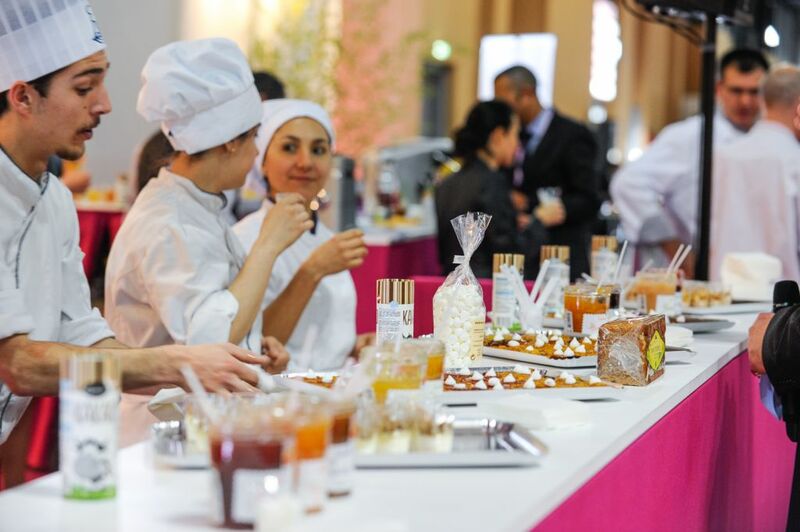 ABCD Nutrition, All in Foods, Compagnie Patissiere, Cookie Creations, Le Kiosque, Cruscana, Glaces de Lyon, DIPSA, DUNI, Enodis France, Emily Fruit Crisps, Favry Emballages, Fish is Life, Flash & Win, Food Plus, Innocent, Full of Good, Garcia de Pou, Gault et Fremont, Good 4 U Ireland, Iridis France, Juan Luna, Le Lu, Lea Nature, Les Ptits Amoureux and Monin are some of the companies and brands you'll meet in these halls. 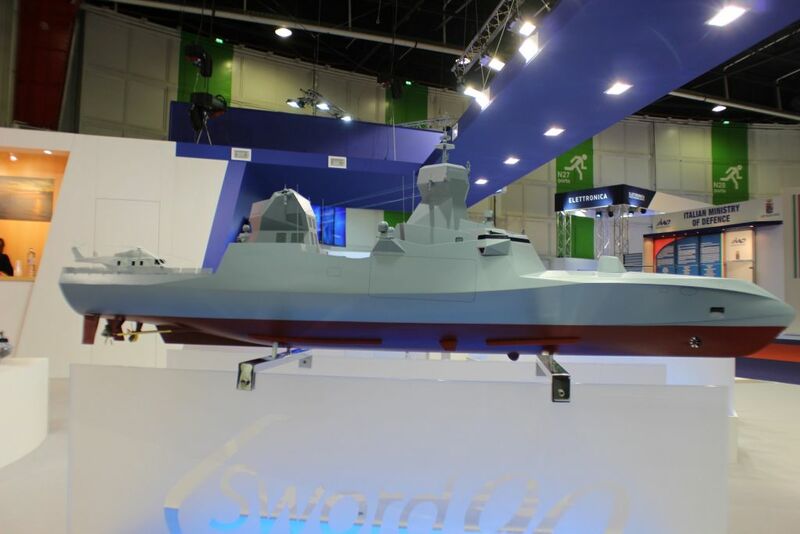 Euronaval has the naval technologies of the future! 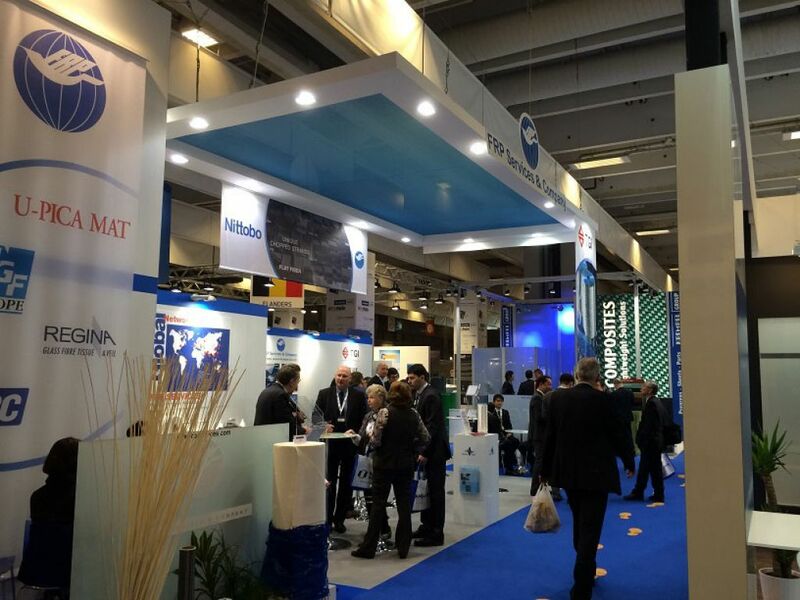 Euronaval is the International Naval Defence & Maritime Exhibition & Conference. 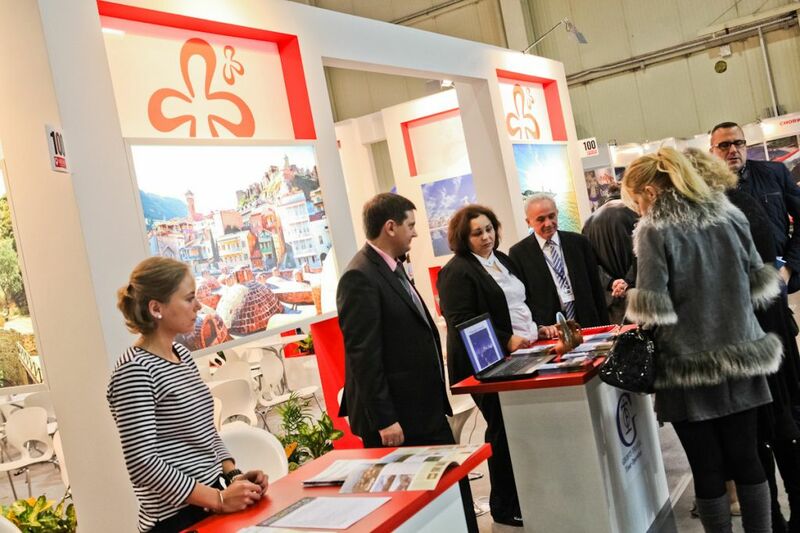 Gathering over 25.000 professional visitors, it is the perfect platform to forge new business deals and network! 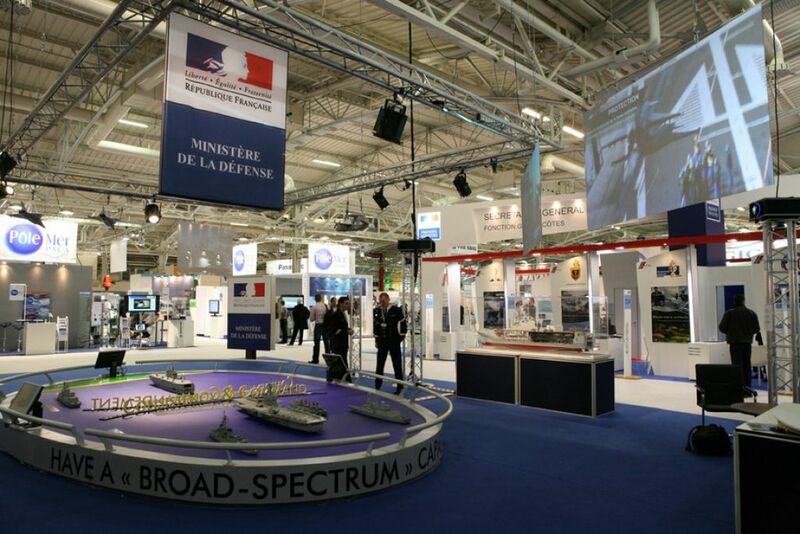 If you're part of this industry, don't let Euronaval pass you by. It can definitely be a great opportunity for you and your company! 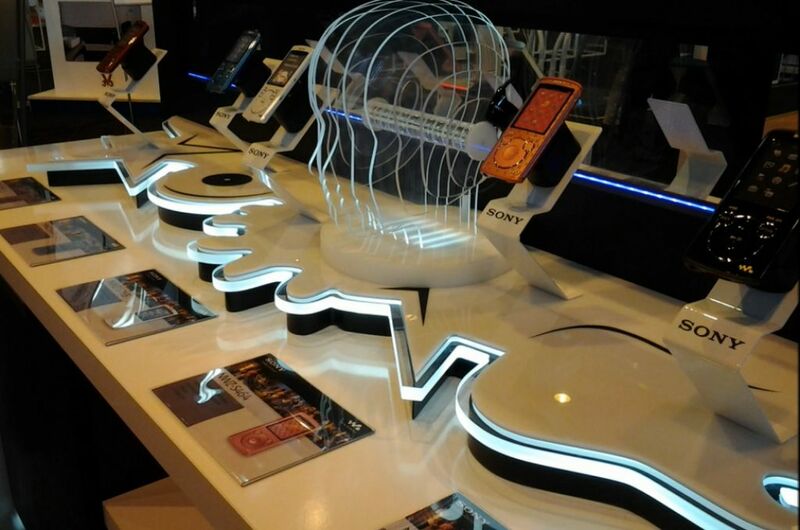 In order to stand out, contact our team of experts in exhibitions. We collaborate with many Stand Designers in Paris and we can easily find the one that best fits your needs and budget! 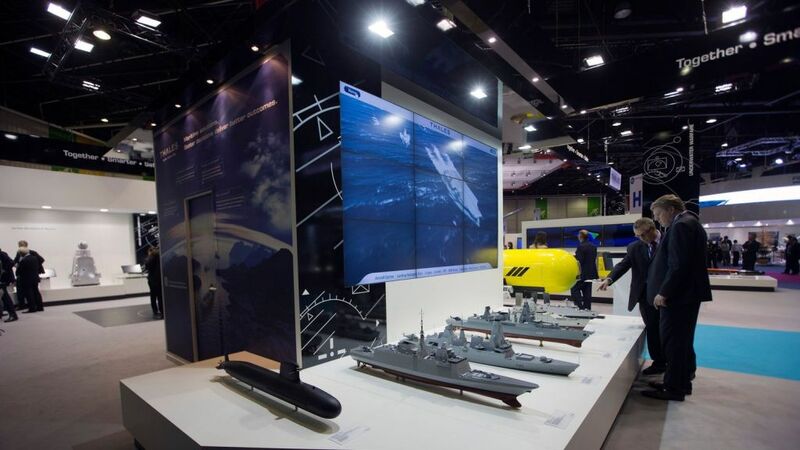 Euronaval attracts exhibitors from many nations (including France, Finland, Italy, Germany, United States, Turkey, Thailand, Israel, Sweden, Denmark, Spain, South Korea, Chile, Morocco and Greece). 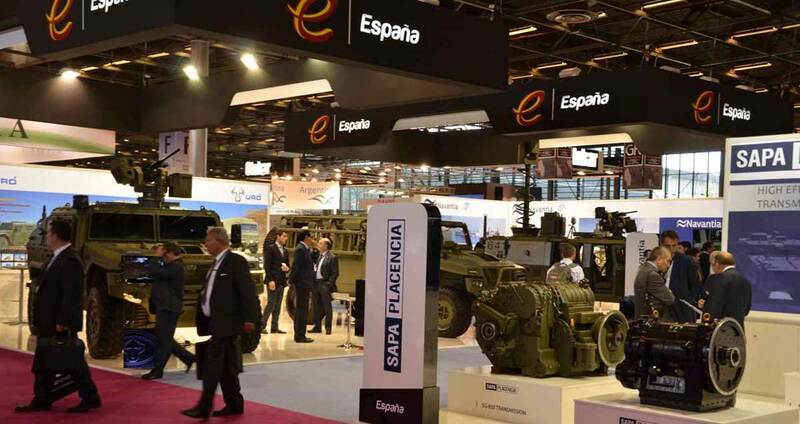 Terma As, Thales, Reya, Prolarge, Sillinger, Shox, Navantia, Metaline, Palfinger Marine, Mototok, MTO Dolphin, Nato Support Agency, L-3, InterMarine Italy, Marine Jet Power, Mer et Marine, IxBlue, DSIT Solutions, Euromaritime, Emcel Filters, CNIM, Colfax, Diginext, DCNS, Atlas Elektronik, Bureau Veritas and Campus Naval France are some of the companies you'll meet at Euronaval. It is your opportunity to interact face to face with skilled professionals and decision makers from all around the world! 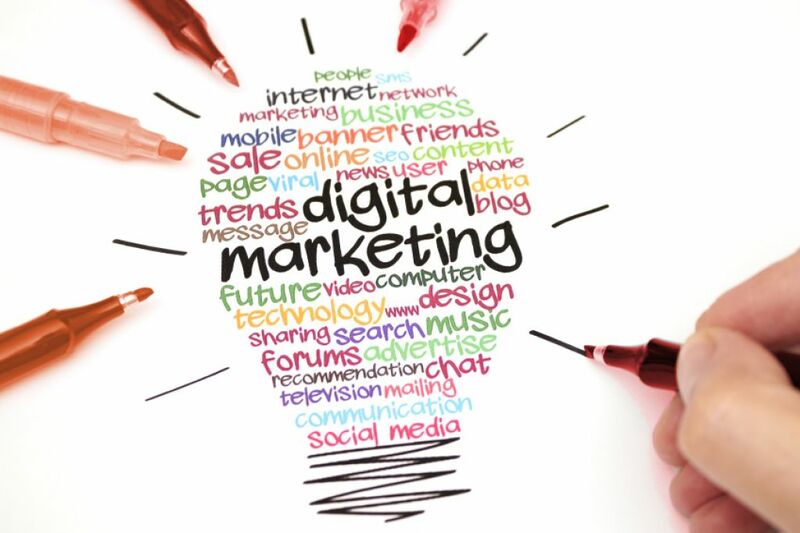 Join E-marketing Paris and gain insights into the latest advertising & marketing trends! 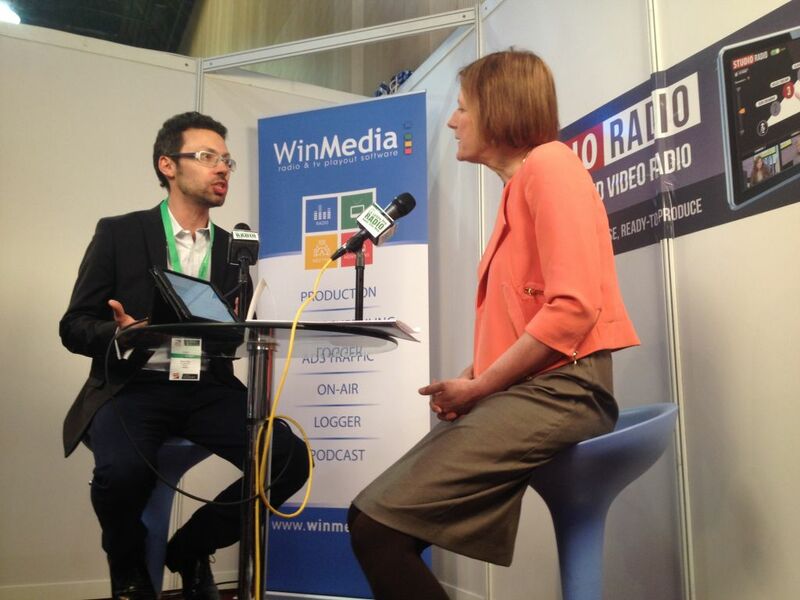 Held annually in Paris, E-marketing is the biggest and the most targeted event for the e-Marketing community. Attracting experts in the advertising, marketing, e-business and e-commerce sector, this is the perfect meeting place to network, meet potential partners and generate sales leads! 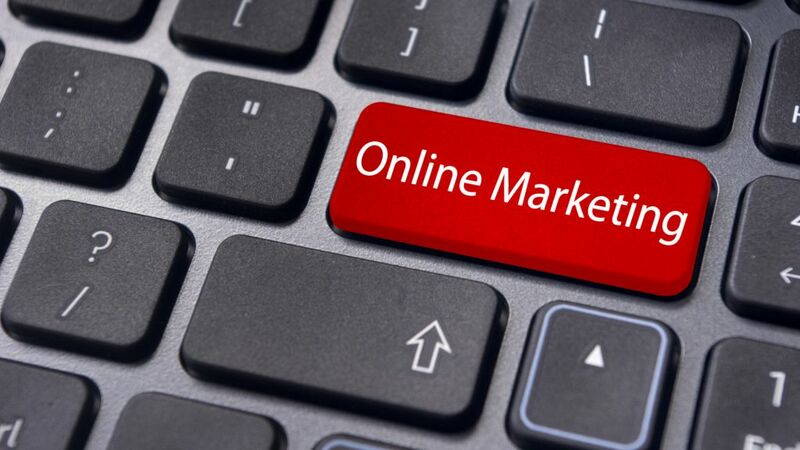 The E-Marketing Salon is on a upswing and it is expected to see continual growth. Don't miss the opportunity to be part of this exclusive and growing community - apply for an exhibition stand and start preparing your team! This is your chance to conquer new markets! If you need a Stand Designer in Paris, do not hesitate to contact us. We'll introduce you to the best local contractors. This trade fair is the ideal place to network and forge new alliances with renowned companies, including: ACC, Kimple, 1Ere Position, Adroll, Adictiz, Castelis, Cision, Bazaarvoice, Beampulse, Dimelo, Liana Technologies, Digital Talents, Edatis, Ciblo, Lemon Interactive, Marketo, Prinelis, Pixalione, Orchid Creation, Roadoo Networks, Selligent, Testapic, Tobeflash and Wax Interactive. 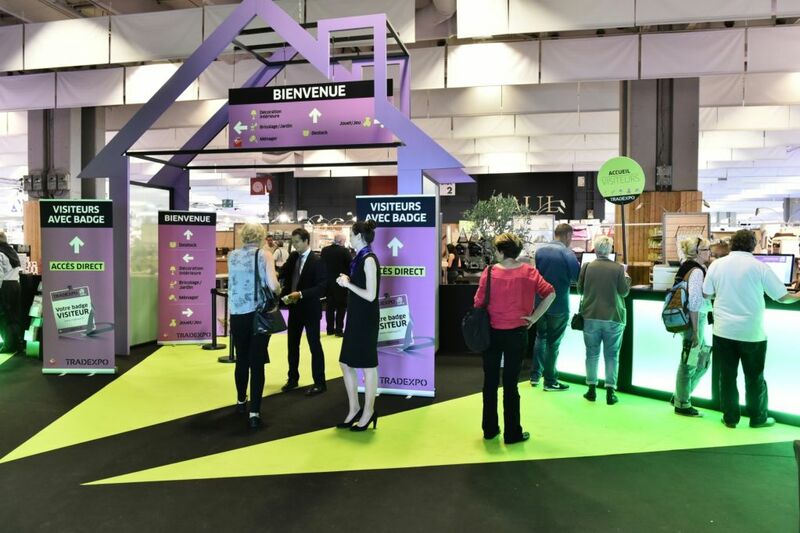 MPV le Salon du Marketing Point De Vente is the one-and-only trade show that brings together an exhaustive range of marketing solutions dedicated to point of sale. If your business is in store layout and fittings, POP, furniture, in-store/to-store, retail services, materials & components, then you can take advantage of the three days of the show to promote your products and services! If you need a stand for the MPV show, contact our team of experts in exhibitions. They'll introduce you to the best Stand Designers in Paris! 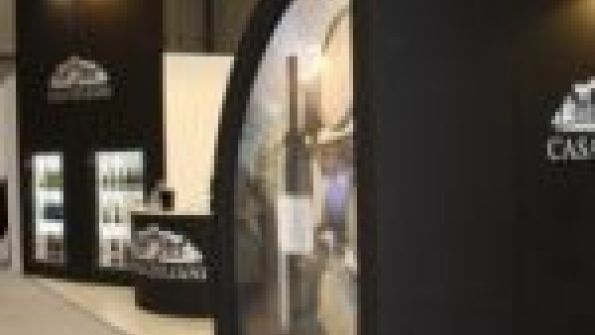 Pop, fittings and furniture: advertising, store furniture, display stands, shelf talkers, endcaps, testers, display cases, shop-in-shop, store layout, window displays, corner displays etc. Digital to-store/in-store: screens, touch screens, interactive displays, software, content, integrators, mobile marketing, web-to-store, etc. Retail services: design agencies, communication agencies, digital agencies, merchandising, shopper research, sales force training, efficiency measurement, audience measurement, sales promotion, events, field marketing, etc. Materials and components: materials, lighting, leds, flooring, adhesives, accessories, etc. 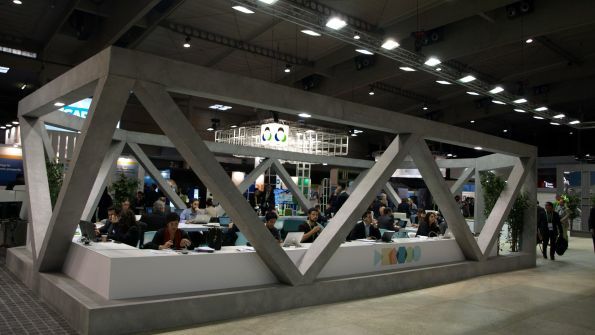 7 Concepts, Activscreen, GP Plast, Group Trehout, PCG Barcelona, 3D Prix, Planet, Promoseeds, Resosign, Seventh Media, Signaletik Diffusion, Sitour Cube, Star Pennsylvania, Synia, Treedim Picador, Think Ambient, ViaDirect, Visix, Weillrobert, Zedis, Kroma Serigraphie, L'Agence de Fab, Les Editions du Chocolat and Zestan are some of the companies you'll meet in this fair. 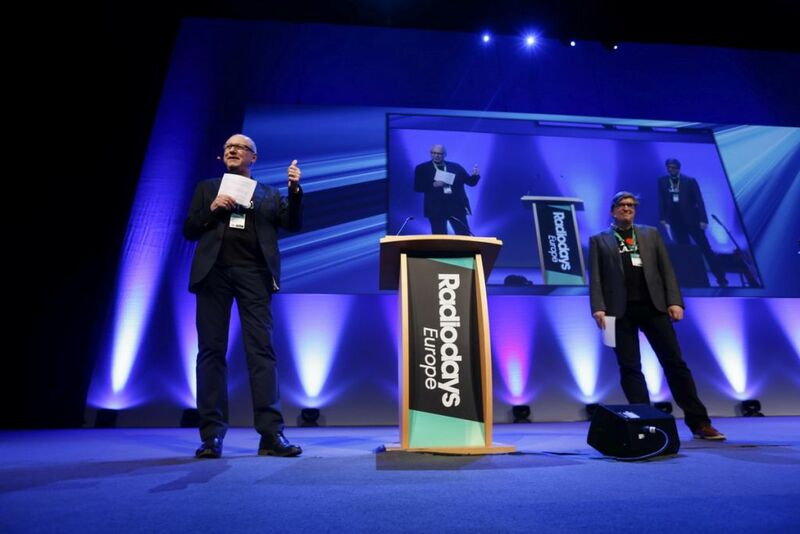 RadioDays Europe is an annual conference for radio professionals with 1300 participants from 60 countries. It is the meeting point for the European radio industry, both private and public, and a destination for radio people from around the world. 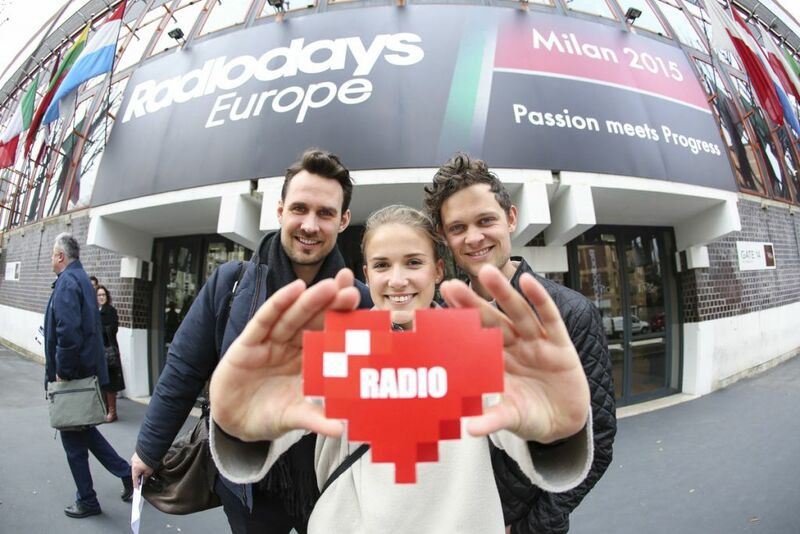 If you're a radio professional, Radiodays is definitely a mandatory event for you and your company! 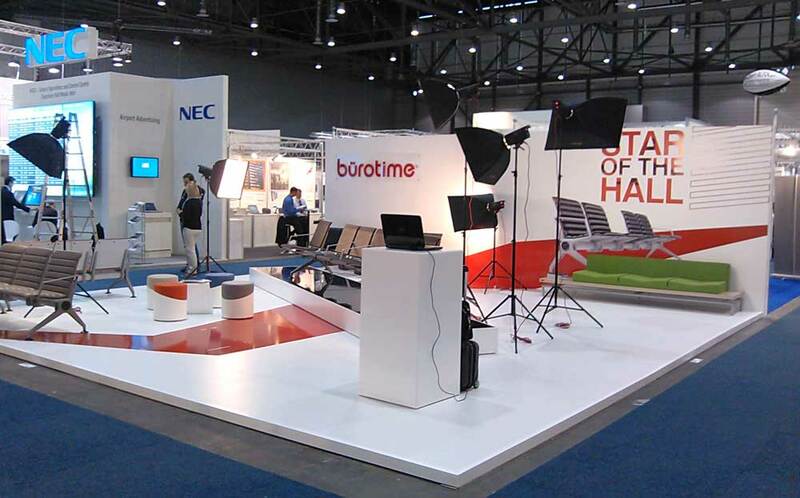 If you need an exhibition booth for this show, contact our team of experts in trade shows. We collaborate with a lot of Stand Contractors in Paris and we'll be delighted to hep you through this process! ... and have fun! RadioDays also offers many parallel events where you can relax while networking! RadioDays is far more than an exhibition! Its sessions cover a wide scope of topics - from journalism, social media and research to the latest on digital platforms, mobiles and podcast as well as new ideas and programme formats, talent management, new revenues and creative radio advertisement. In other words – some of the most exciting leaders, presenters, journalists, producers and sales people talking about the challenges and new ways that radio are exploring in creating the future of our medium. Join these seminars, it is a great opportunity to learn and network with influential experts! 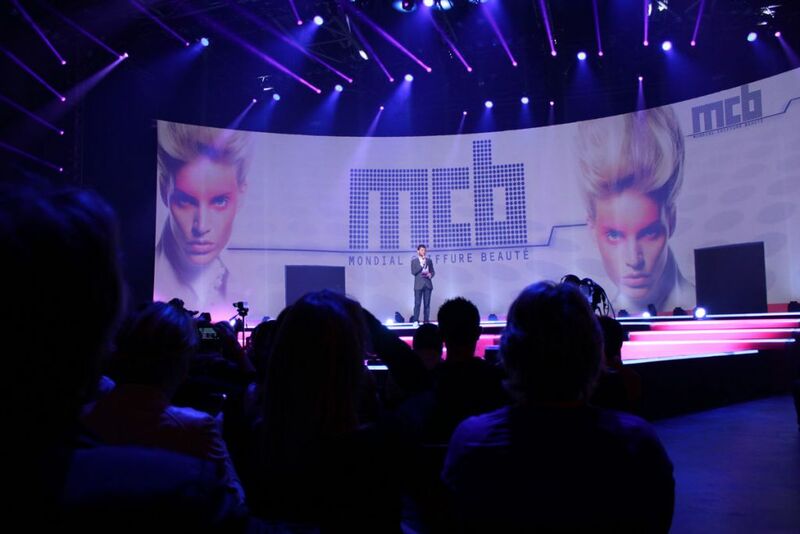 Mondial Coiffure Beauté is one of the most awaited Hair and Beauty events of the year. Bringing together the most incredible brands and experts in the hairdressing industry, this event formalizes new trends and styles. If you're interested in meeting new partners & clients and discover, first-hand, the newest tendencies, don't let MCB pass you by! And, if you're planning on exhibiting, we can introduce you to the best Stand Contractors in Paris! 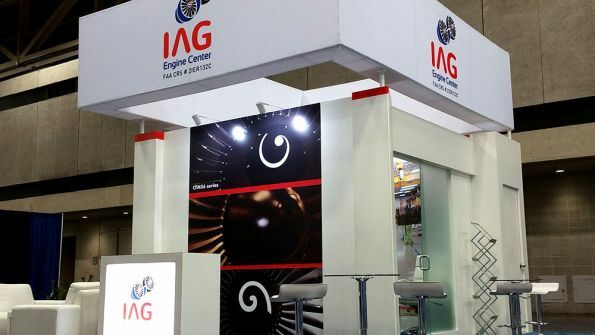 Remember: a high-impact and attractive exhibition booth is essential for an unforgettable participation. Workshops on nail art, makeup, hairstyle, etc. Conferences, where leading experts discuss hot trends and management/marketing keys. An Exhibition that gathers thousands of brands from all around the world. Mondial Coiffure Beauté allows you to meet many incredible brands, such as: Amika, BabyLiss, AGT Digital, Curve-O, CosmoD, Corioliss, Coiffance, Gallas Creations, Glamour, HairTech, Hercules, Integral Beauty, Katsuma Efalock, Kadus, Miss Cod, Miele, Wella, VI Plumes, Urban Diamant, Tibolli and Triumph are some of the exhibitors you'll meet in this fair. Join them and get inspired! 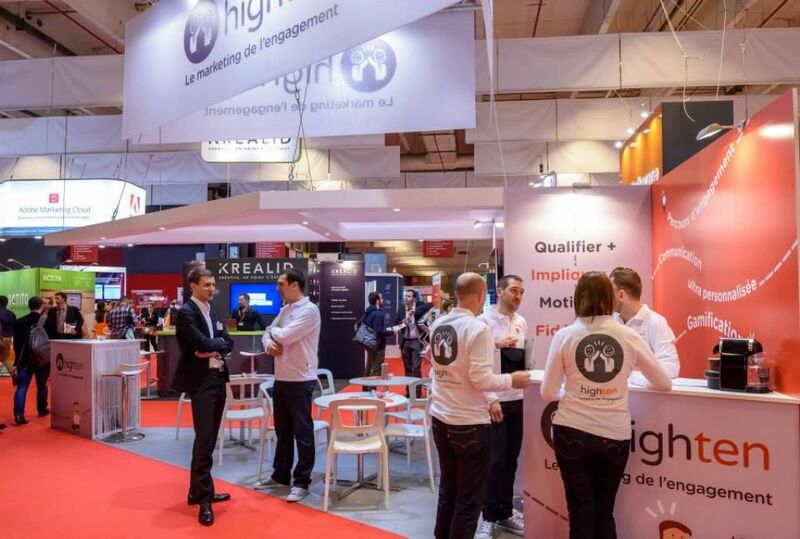 Held in Paris, I-expo is a 3 day event that showcases a wide range of products & services related to digital marketing and intelligent management. 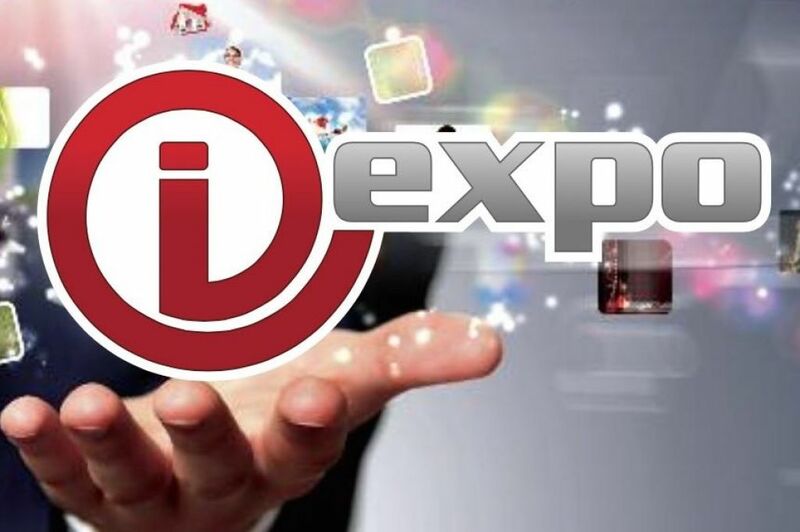 If you're part of this industry, I-Expo can definitely be a great opportunity for you and your company! 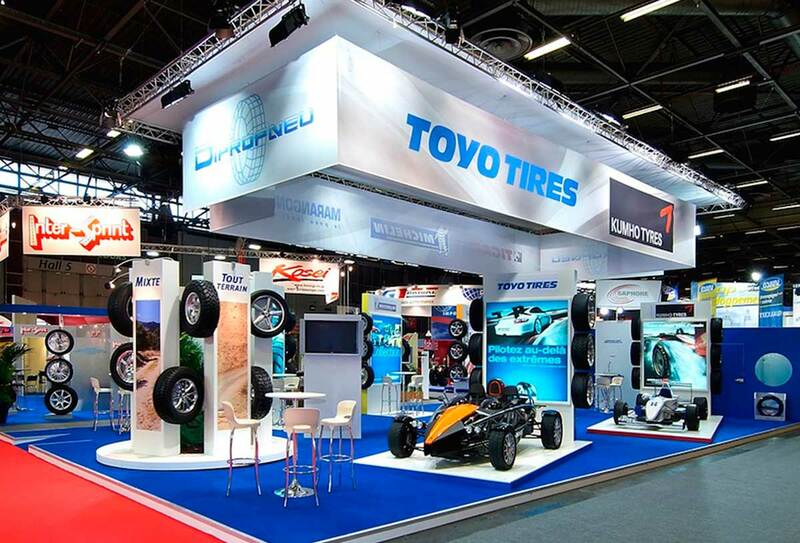 In order to stand out, contact our team of experts in trade fairs. We collaborate with many Stand Booth Contractors in Paris and we can easily find the one that best fits your needs and budget! ADBS, Commercial Action, Coexel, Capadoc, IT Expresso, Decidento, BrandWatch, Echosdoc, Esic, Euromerx, Fla Consultants, Geolsemantics, Fla Consultants, Euromerx, Elcurator, Multimedia Edition, IXXO, Proxem, Qualite References, Silicon and Qwam Intelligence are some of the exhibitors you'll meet at I-expo Paris. It is your opportunity to establish new partnerships and get inspired by other influential companies! 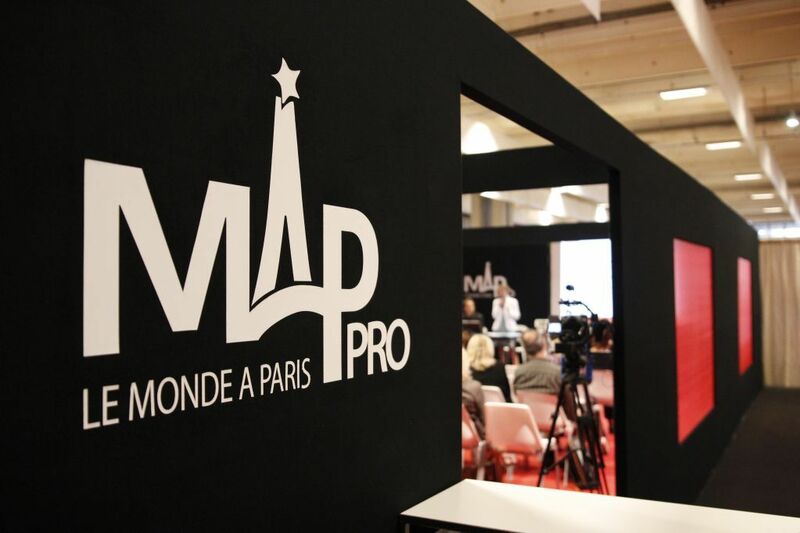 Held in France, MAP PRO is a must-attend event for all tour & coach operators. Held for over 30 years, this is the place to meet the most influential travel agents, coach operators, tour operators and hot destinations (within France and Europe!). Reserve the best location on the MAP pro and take advantage of two days of show to develop your business by participating in the meeting of all the actors of the tourism sector! 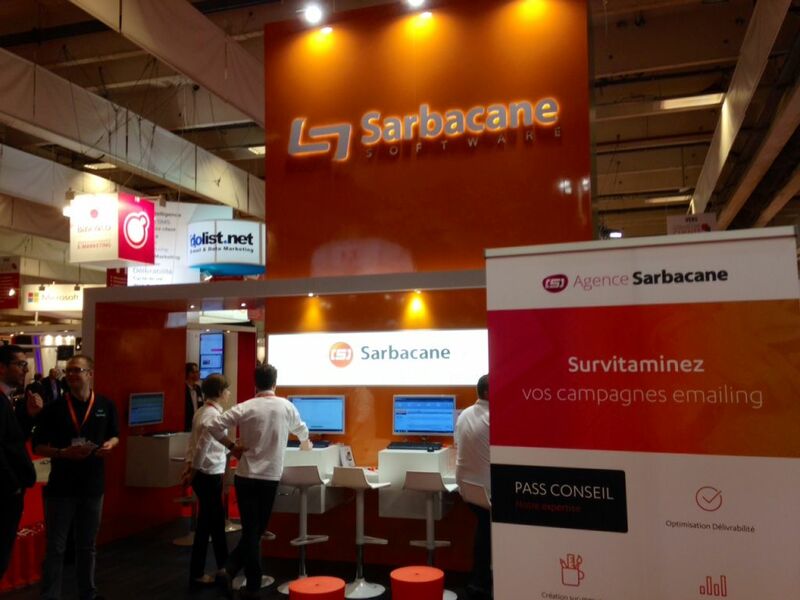 If you need a Stand Contractors in Paris, contact our team of experts in fairs. They'll introduce you to an exclusive selection of local designers. Adonet, Kuoni, Novasol Cuendet, Jet Tours, Premium Travel, Seto, Ollandini Voyages, Look Voyages, FTI, Amaya Resorts & SPAs, Vacances Transat, Eco Mayan, Green Blue Red, MAC Travels, Monarch Travel & Outgoing, Mulot & Petit Jean, Natura Travel de Colombia, Tucaya Colombi, 3J Creation, NKAR Travels & Tours, Abbey Tours, 3Mundi and Adineh Travel are some of the companies that choose MAP Pro to present theur products & services. MDD Expo, the Exhibition for know-how dedicated to custom made products, supports the development of your business. With 15 years of expertise, MDD Expo confirms its position as a link between manufacturers and buyers. All industry professionals gather every year at the exhibition for know-how dedicated to the creation of customized products. Join MDD and meet many national & international buyers, including Eroski, Pizza Hur, Yves Rocher, Carrefour, The Walt Disney Company, Aldi, Monoprix, Sonae, Unifood, Planet Sushi, Décathlon, Pomona and Monoprix! 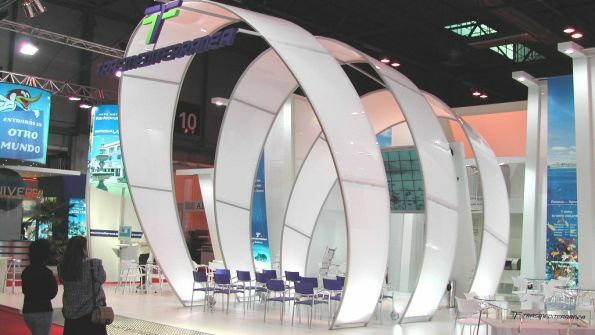 If you need a Local Stand Designer in Paris, contact our teasm of experts in trade shows. They'll introduce you to an exclusive selection of contractors. 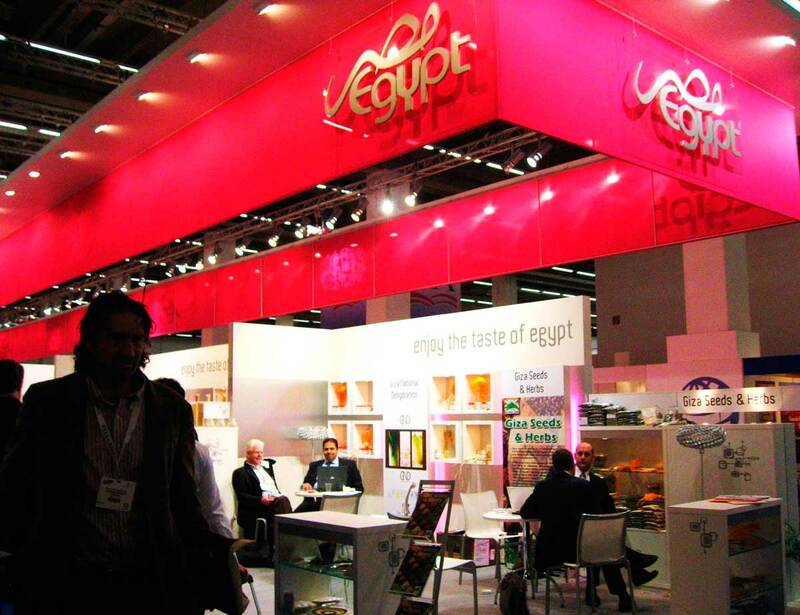 Ab Foods, Alanine, Altho, Alimad Food, Danival, De Kroes France, Gastronome Distribution, Gelpass Group, Magda, Martinez Chocolatier, Naturalim France Miel, NMK Esbaco, Labeyrie Fine Foods, La Linea Verde Societa Agricola, Materna, MDC Pack, Roger & Roger, Rolland R&R Ice Cream, Kuhlmann, Kyrnella Nature Cosmetics, Valette Foie Gras, Van de Leur, Vandemoortele, Jean Floch, Jean-Louis Amiotte, Jock SAS, Quai SUD and Zoutman are some of the companies you'll meet at MDD. Join them and find your ideal business partner! 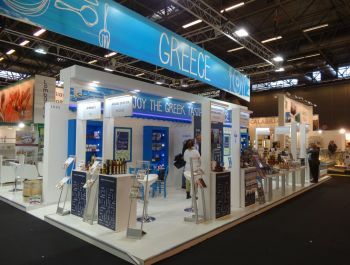 Tradexpo Paris is the importer-export home fair for all distributors. Held in Paris, this event attracts buyers and suppliers from many different nations. It is the ideal platform to forge new partnerships and make business deals with top influencers. 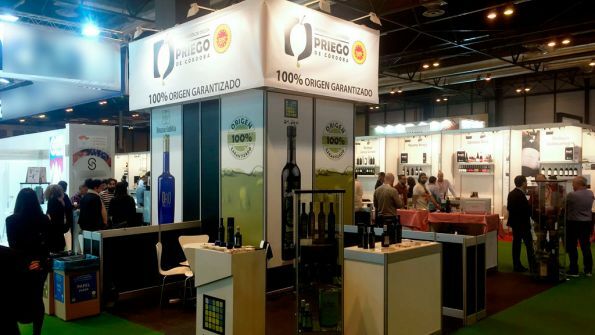 This tradeshow, bringing together all distribution circuits from mass market to convenience stores, remains the only show positioned on the entry and mid-range segments in France. 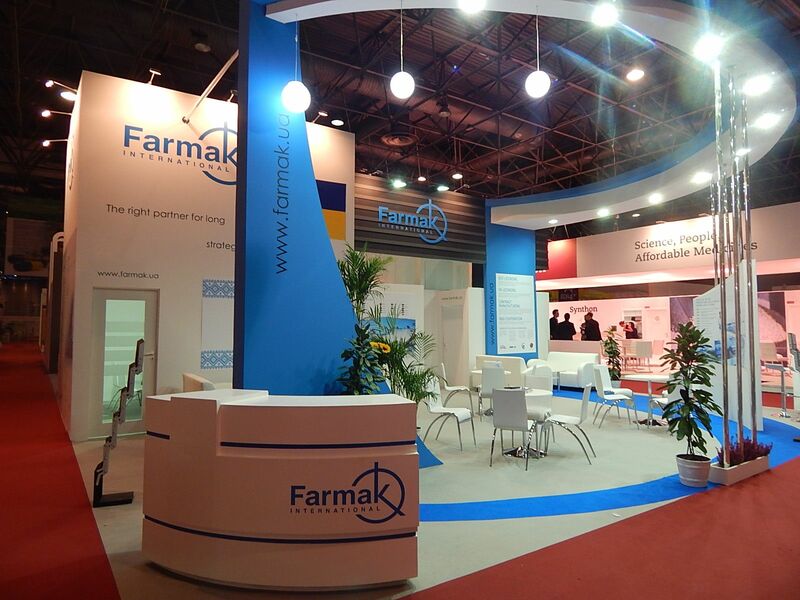 If you to participate in this fair, apply for an exhibition booth and contact our team of experts in trade shows. 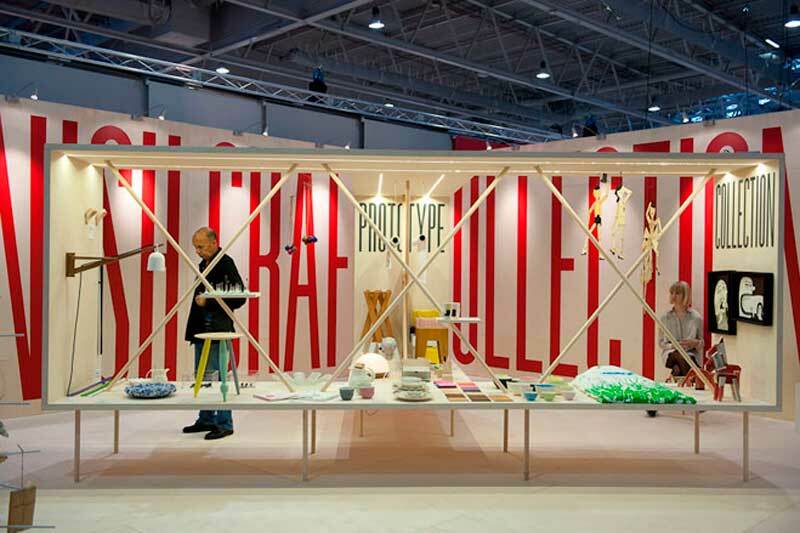 They'll introduce you to an exclusive selection of Stand Designers in Paris! 5 days of non-stopping business! This expo is one of the biggest business hub for suppliers and buyers to meet. It provides an excellent opportunity for all entrepreneurs and new companies to work along with leading well-established and contemporary brands for getting an international exposure as well as for finding target customers, retailers and manufacturers. A wide range of... everything! 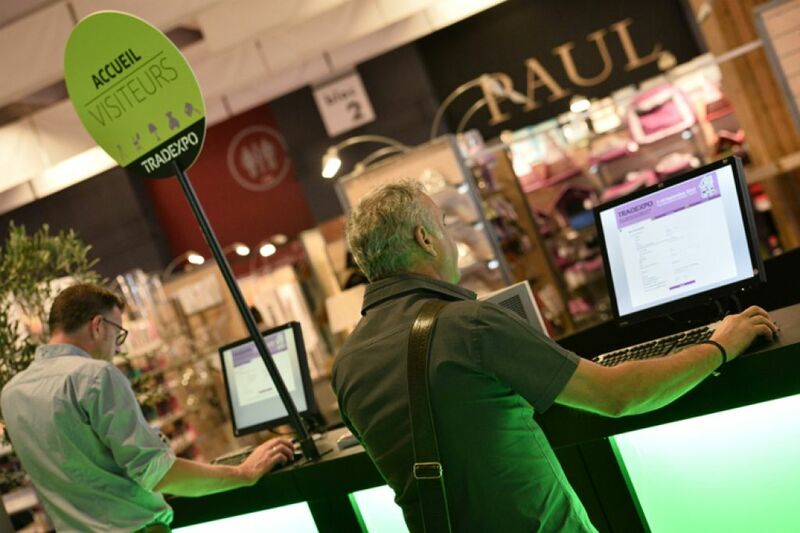 Angro BV, Antony Decoration, MC Bazar, Forest Distribution, Art et Tradition, Anitex Larbrinca, Bazar 5000, Faye, MGM, Les Cotillons D'Alsace, Led Innovations, Orsera Trading, Noa Sarl, Oscar & Barnabe, Style Decor, Terra Flora, Sunflower Supply Chain Finance, Stella Green, World In, Zifel, Paritex, Phocea Stock, Sandy, Selartex, Ritem and Holland Cleany Agencies are some of the exhibitors that you'll meet in this fair. Join them and find your ideal business partner! As the French pharmacy sector goes through a dramatic reform, leading to unprecedented change for healthcare professionals, Pharmagora Plus is committed to transforming these changes into opportunities for growth and development for every pharmacy. If you're part of this industry, PharmagoraPlus can definitely be a great opportunity for you and your company! 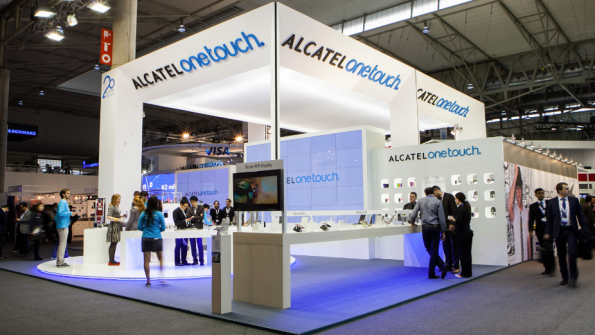 In order to stand out, contact our team of experts in trade shows. We collaborate with many Stand Booth Contractors in Paris and we can easily find the one that best fits your needs and budget! 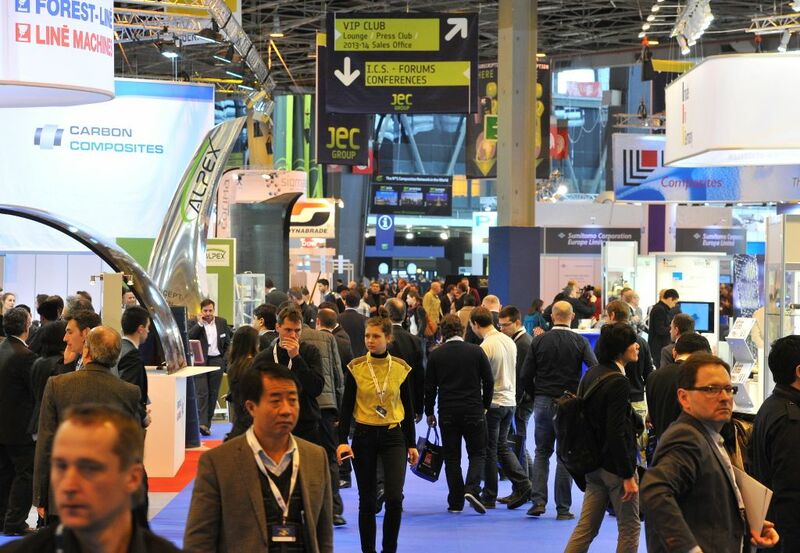 Alphamed, Artco, Cosmediet, Cofrex, CC Pharma, M2 Communication, Mascareigne Diffusion, Medifroid, Pharm'tudes, Paper Mints, Reseau Altapharm, Rowa, Read Loop Paris, Robotik Technology, Pharm'tudes and Mascareigne Diffusion are of the companies you'll meet at Pharmagora. Join them and forge valuable partnerships! Interoute & Ville is the only trade sho dedicated to the road building community. It is a must-attend event for the industry whose aim is to contribute to the development and promotion of European road asset. If you're in the business, Interoute & Ville is the ideal platform to showcase your latest products and services. In order to exhibit, you just need to book a stand and find a reliable local designer. If you need help with this task, contact our team of experts in trade shows. They'll introduce you to an exquisite selection of Stand Contractors in Paris! Build and Maintain Road Infrastructure: design consultancies, R&D companies, materials production, machinery and equipment roads and utilities, vehicles, engineering and consulting firms. Equip: signage, safety, markings and restrain systems, traffic regulation, connected technology, communication systems, software. Maintain & Operate: urban and open road and wayside maintenance, winter maintenance, measurement tools for traffic and operating conditions, inspection bodies, services for operations and maintenance, etc. 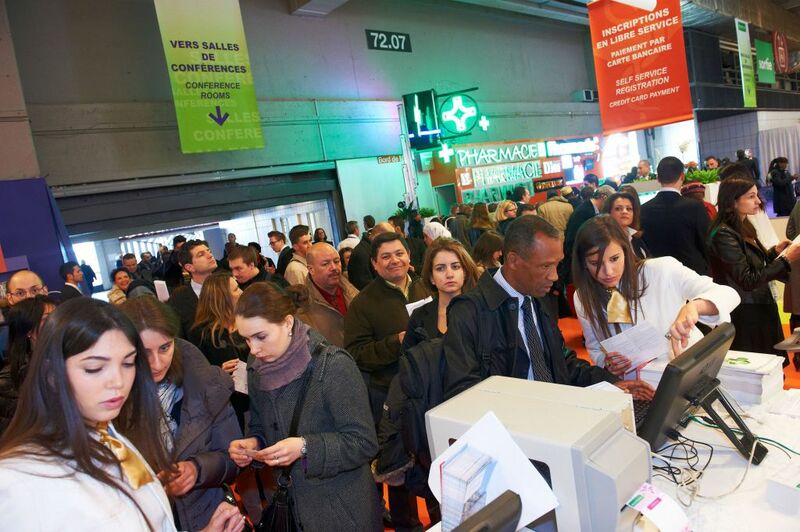 Pack & Gift Show Paris is the only event exclusively dedicated to event-based offers! Pack & Gift presents the ideal packaging and merchandising solutions for Perfume, Cosmetics, Food, Beverages, Fashion, Edition, Leisure, Watches, Jewellery, Tableware and many more! If you're part of this industry, don't let this year's Pack & Gift pass you by! In order to participate, you just need to for a stand and start organizing your exhibition! If you want to catch everyone's attention, it is always a good idea to invest in an attractive stand. 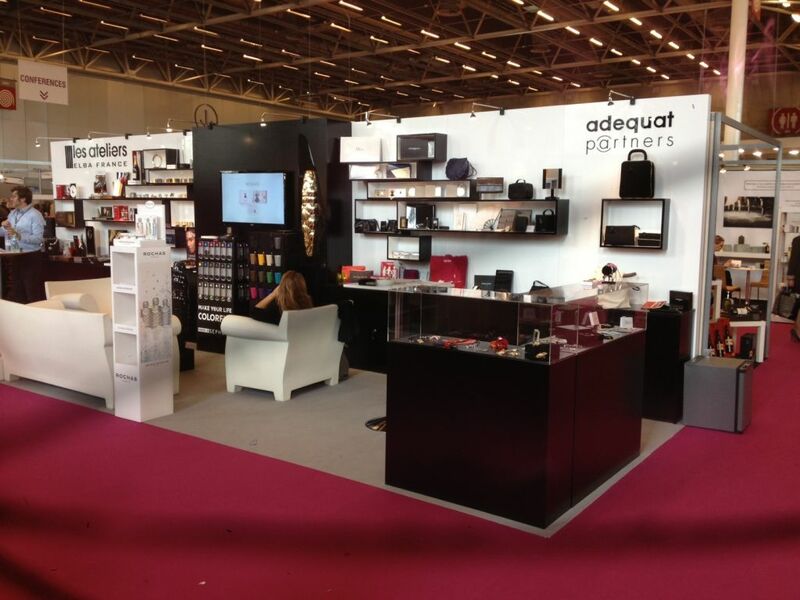 Contact our team of experts in trade shows and they'll find you the best Stand Design Companies in Paris! 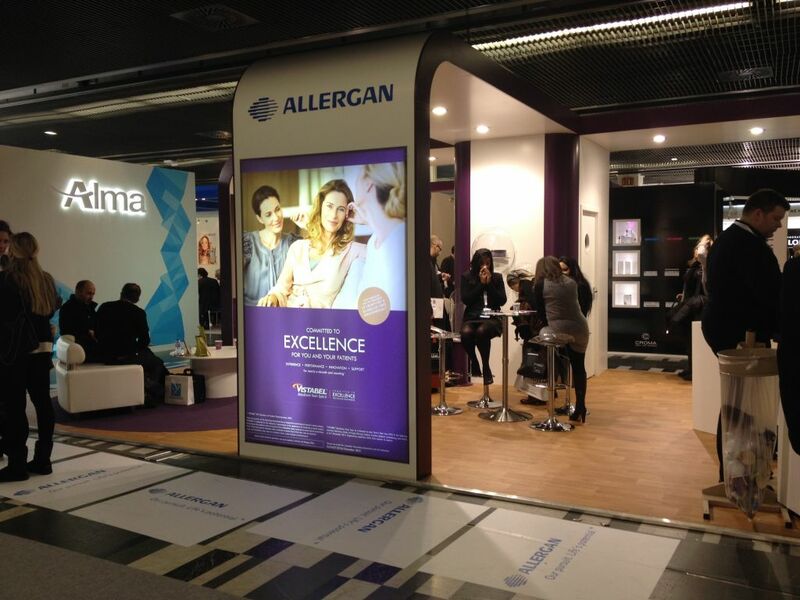 IMCAS is the largest aesthetic medical exhibition in the world! 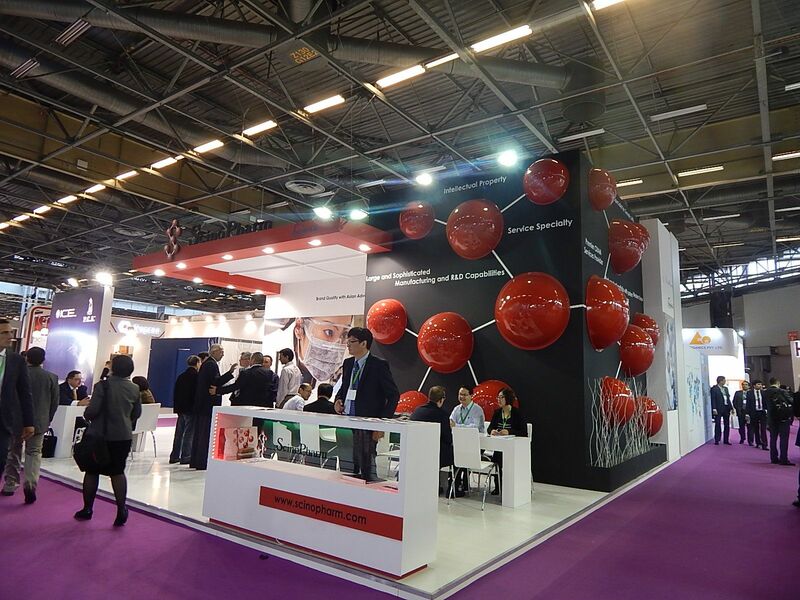 IMCAS is the largest aesthetic medical exhibition in the world. 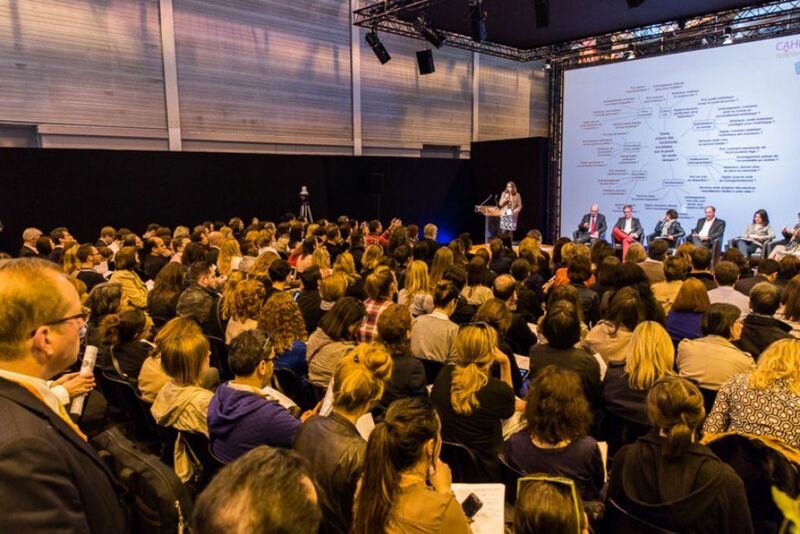 Each year, its Congress promises to attract thousands of plastic surgeons, dermatologists and aesthetic doctors to the city of Paris for four days of unstoppable networking and business. 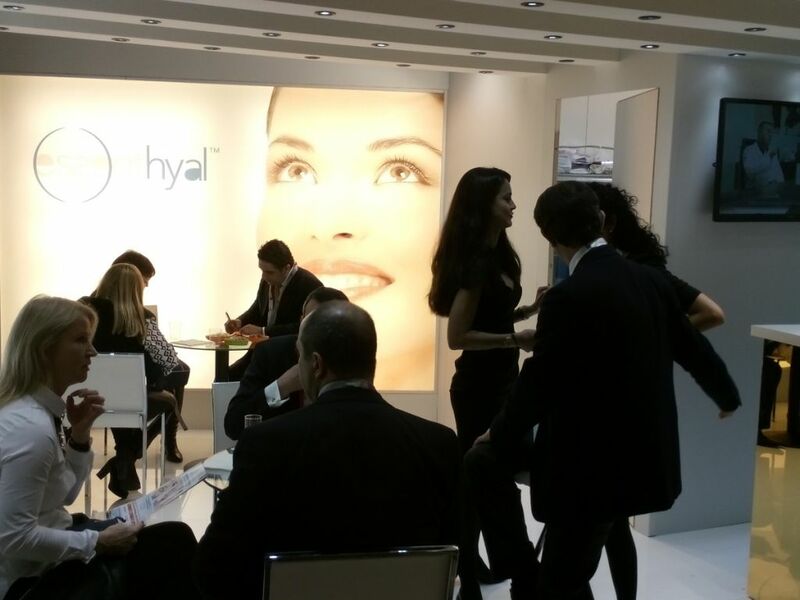 If you're in the business, IMCAS is the ideal platform to showcase your latest products and services. In order to exhibit, you just need to book a stand and find a reliable local designer. If you need help with this task, contact our team of experts in trade-shows. They'll introduce you to an exquisite selection of Stand Contractors & Designers in Paris! Here you'll be able to meet many world-class exhibitors and sponsors such as: Quanta Systems Spa, APTOS, Eclipse Aesthetics, Miramar Labs, Johnson and Johnson Santé Beauté, Skin Tech-Pharma Group, Revitacare, SBS Med, Vital Aesthetics, L'Oreal Skinceauticals, Human MED, Caregen, Zeltiq, Allergan Pharmaceuticals, Alma Lasers, EMbody, Coolsense, Blue Moon, Johnson and Johnson, Tov Medical Distribution and Yal Art. If you want to forge new partnerships and network with key-professionals from all around the globe, you can't afford to miss IMCAS exhibition & conference! JEC World Composites Show & Conferences is the largest international gathering of composites professionals. If you're interested in exploring the latest market trends and in finding new business partners, then JEC is a mandatory event for you and your company! If you're already planning on joining this year's JEC, don't forget to contact our team of experts in trade shows. They will introduce you to the best Stand Builders & Designers in Paris! We collaborate with hundreds of incredible stand contractors and we'll introduce you to an exclusive selection! Besides, JEC also offers you the possibility to speak, entirely free of charge, to a qualified audience at several high-value user conferences. It is an unique opportunity to meet the complete composites value chain is represented: raw materials, processing, distribution, manufacturing and end users. Far more than an exhibition! ESOPE Paris is the key-event for the Pressure Equipments sector! ESOPE is considered to be the leading pressure equipment trade show in the international marketplace. 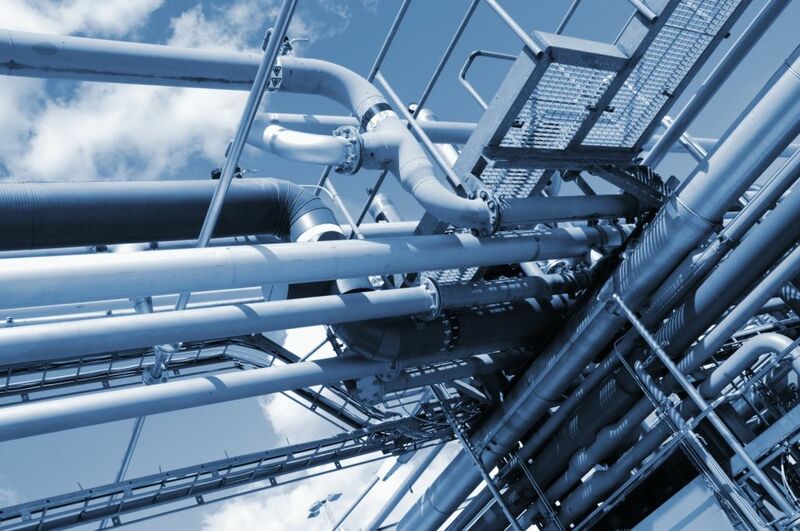 Covering various industries such as energy, chemical, petrochemical and agribusiness on both global and domestic levels, the quality and diversity of the companies attending ensure a technical and professional exhibition that stands out among the rest. If you're part of this industry, ESOPE can definitely be a great opportunity for you and your company! 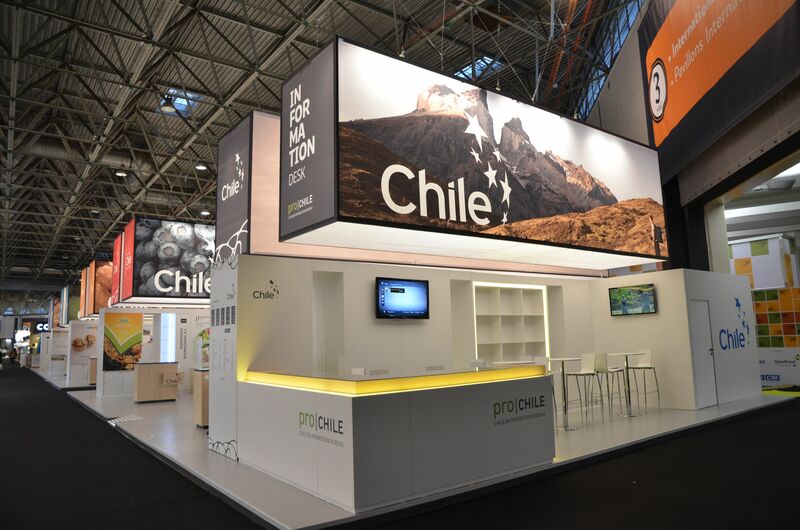 In order to stand out, contact our team of experts in trade shows. We collaborate with thousands of Stand Booth Contractors in Paris and we can easily find the one that best fits your needs and budget! Technical centres, like consulting firms, engineering, training, etc. Join this trade fair and meet many renown companies such as 2IO Conseil, Aloris, Extende, Faccin, Gis-Mic, H+Valves, Ortmans, SNCT, Vincotte, Walter Tosto SPA, Peruweld and Ziemex. E-Commerce Paris is an event specialized in delivering and showcasing new ideas, technologies and talent from the commerce industry. 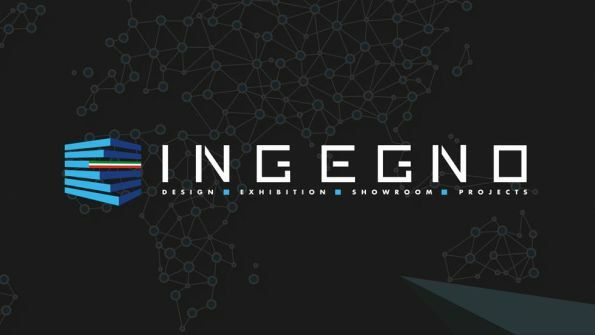 With four specific sectors that include technology, digital marketing, logistics and customer experience, this exhibition is predicted to be groundbreaking. -Commerce Paris invites individuals and companies who are interested in any of these four sectors to join them and contribute to the collaboration. They invite exhibitors who are interested in accelerating the development of their business, who hope to present innovations and product launches, and who are passionate about developing internationally. If you or your business fit this mold, contact nEventum for a consultation and advice on how to get involved at E-Commerce Paris. With an event this influential right around the corner, make sure to call us here at nEventum as soon as possible--we are more than happy to help. Fly over to the International Paris Air show and get blown away. Bring your best products as you are able to be seen by the world's key leaders. You will be able to greet 139,000 trade professionals, where a 20% of those only come to this show. This expo also brings great networking areas to its corner, as well as offering a special presentation space for each company. Allow yourself to have the best clients and be surrounded by experts in the industry. 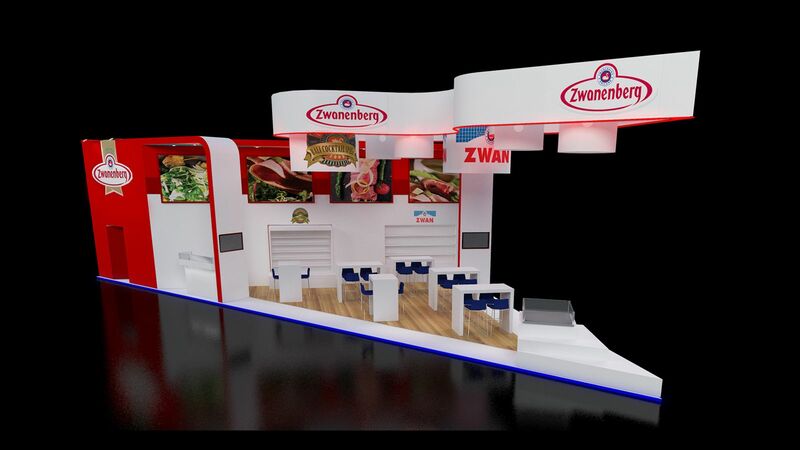 Book a stand and let us know about your stand design needs. Seize each chance of publicity that goes your way, all right here. Remember, this show remains in the top spot for many reasons. Don't miss out! 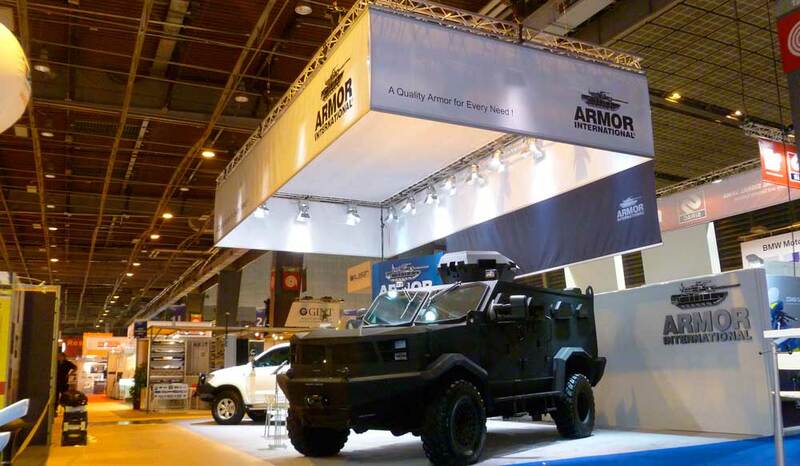 The leading security expo in Europe is without a doubt, Milipol Paris. It brings together tons of main companies as exhibitors and also thousands of experts in security. All of them bring their newest ideas, greatest exhibition pieces and ways to be successful in your company. Whether it is to meet key decision makers or just to show off your own products, be part of this show. Come to Paris, book a stand and let us know what you have in mind. 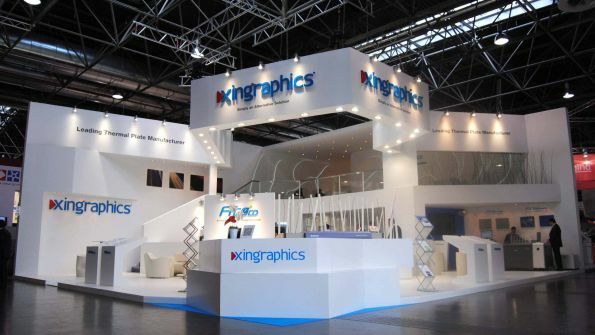 Our specialists will present you with the best kinds of stand designer and builder in the area. You will be pleased with the results. Interclima+Elec has always been about bringing out the latest in the innovative buildings technologies and methods to further cool technology. All under the sector of HVAC, Sanitation and Building Automation. Taking place in Paris and being biennial is open to trade visitors who come all over the world. This event is keen on conducting professional meetings, business forums, conferences and sessions. All while bringing thrilling displays and management solutions. Gather around 350,000 installers/specifiers/distributors and make business deals with them. Demonstrate the strengths of your products and reach the target you need. All in the same place at the same time. There is nowhere you can go wrong by taking a part of this trade show. Book a stand and let us know your stand design needs. We would love to help you out and for you to take your company even higher. Many high-end companies in the automotive industry all come together to enjoy EQUIP AUTO. As they come to Paris, they get to present repair and maintenance gear, paintwork products and many other areas in the field. 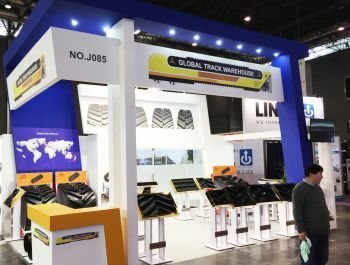 On the show floor you are able to see any kind of construction vehicles and even daily-bases ones, such as buses, coaches and two-wheelers. Check out the special demostrations pavilions to know more about the latest technologies. And better yet, follow the many business meetings and conferences that are led by experts of the field, as well. Having over 100,000 visitors on average, its aim is to bring together all the international players under one roof. Either be an exhibitor and bring your brand or be impressed by its own award show, either way you need to mark this date in your calendar and come on over. 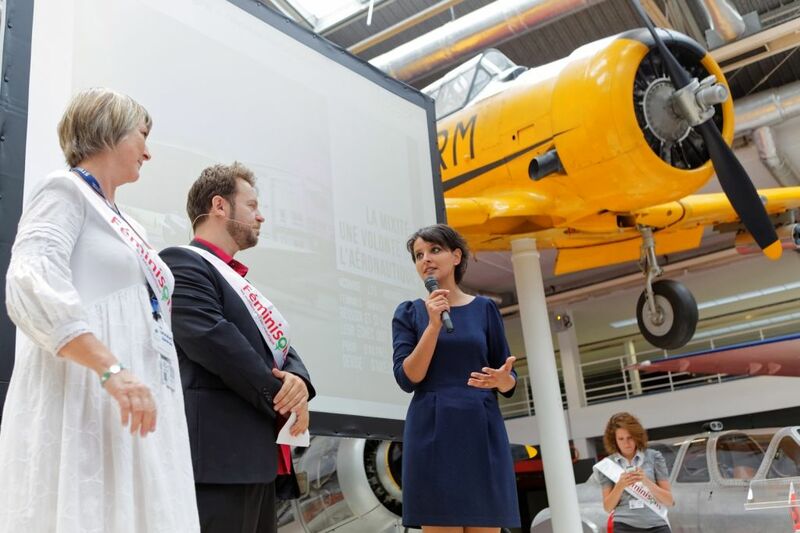 Inviting in more than 29,000 tourism professionals, IFTM Top Resa is an outstanding expo for the industry. Hosted in Paris, there is no other place in the area to find out about the latest destinations, useful technologies for the day to to day basis and be able to talk to the industry's leaders. Stands are dazzling with top-notch designs no matter where you look. We want yours to be a part of it as well, by letting us helping you choose the right designer for you. After exposing or participating at this show, there was a 96% of satisfied visitors, all of which had the opportunities to test the products hands-on and get a hold of new contacts. Divided into three different sections; Business, Leisure and Events, it makes it easier to get exactly what you need and talk to the right person. Let your brand be known and tackle this expo with your cool products. Claimed to be the world's leading event dedicated to the aerospace industry, Paris Air show is also the biggest and longest-running event in the world. An impressive one-stop-show that brings in over 315,000 visitors and 2,215 exhibitors. No matter where you look, this is a great hot spot to build new business, find out about the latest novelties and present your products. This is your chance to show the world your brand, don't wait and book a stand. And contact us to get the right stand designer you need, free of cost. 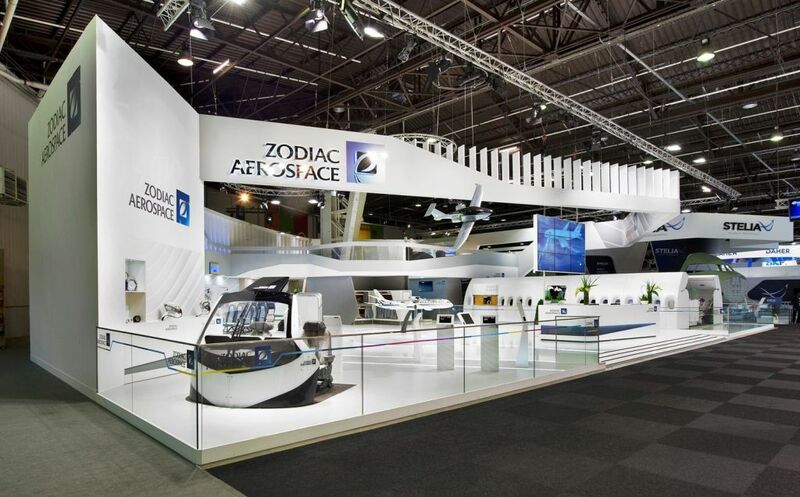 It is a well known fact that Paris Air Show brings the whole industry together every two years meaning you will find everything you need all under one roof. Take part in the industry's most important meeting place and bring in your products! 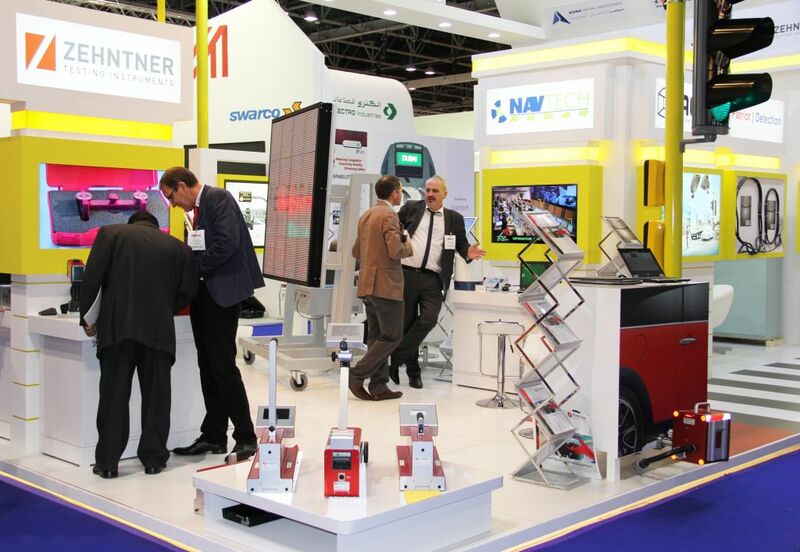 Passenger Terminal EXPO showcases the solutions and products you need! Passenger Terminal Expo is the main meeting point for anyone involved with the airport industry. This expo has become a top expo to take part in. Hosted in Paris, it reveals the hottest products, services and technologies which are dedicated exclusively to the improvement of the efficiency, safety and passenger experience. Stands will present the solutions and products you need. If you are part of this world, be sure to book a stand and contact us. From finding ways to speed up security screening process to crowd control technologies, you will be impressed with all the presentations you see. Either you are discovering the field for the first time or are an expert, this is the place where you can find the latest of the latests in the aviation sector. Walk along with the other 4,000 aviation authority professionals, who come from around the world to negotiate, explore, innovate and much more at PTE. With us, you will be able to find the right stand designer and builder you need, all free of cost. Considered a premier event in any aspect of the field, as it captures all of the above, including retail, customer experience and operation security. Gain great exposure and see the changes that take place right before your eyes, don't miss out. As we know by now, the food industry has an unlimited amount of information and resources. If we had to round up the 26,000 trade professionals that come from 154 countries at your local office, you would not be able to deal with all of them at the same time. However if you come to FI Global, you can allow yourself to be introduced to all these exhibitors and global directors all in one place. Let your own company be in the spotlight of all these great benefits. We can help make your stand one-of-a-kind. 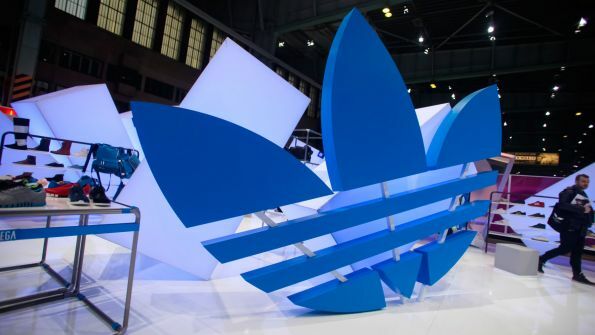 Our specialists are able to show you the top five stand designers and builders in the area that want to help you get the best out of your brand. Whether you want to meet up close and personal to your customers or want to show off your top-drawer products, don't miss out on an event that is known for being effective and beneficial without a doubt. 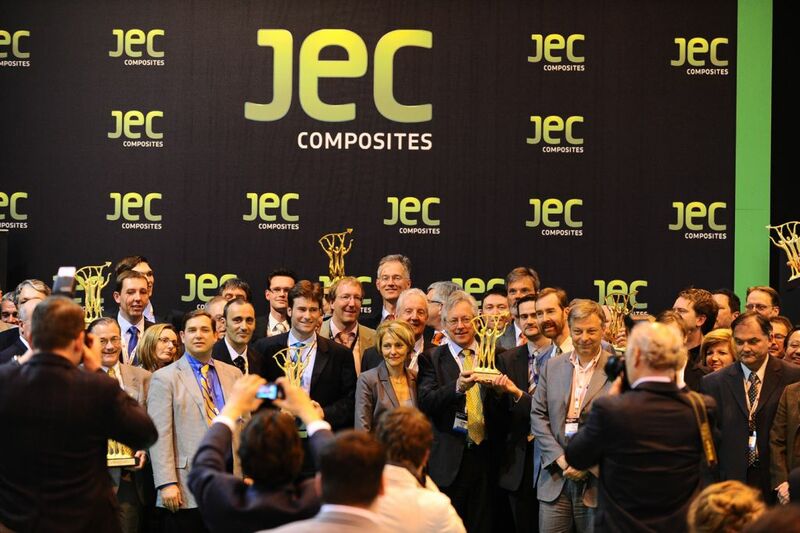 JEC Composites Show, celebrated in Paris, is the top trade show for composites worldwide. It is the only that unites the industry in a global level. The stands at this show are filled with the latest technology of the industry. 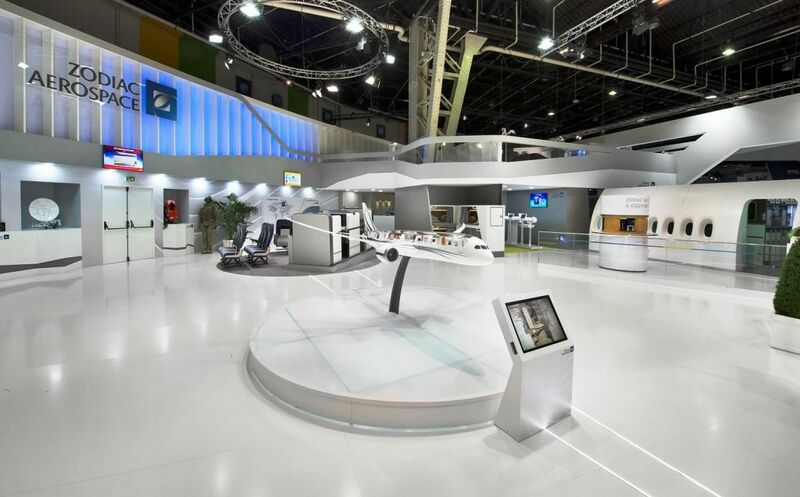 The show floor's main area has plenty of space so that the visitors can see every detail of the featured products. We encourage you to book your stand here today. For more information on the best stand designers and builders in the business, talk to us and we will help you find the right one for you. This event serves as the main platform where all trade professionals can come together to share new ideas, reinforce their position, get their company involved in the latest programs, meet with future business partners and of course participate in the various conferences and forums. It will be a great way to be seen in the composite industry. 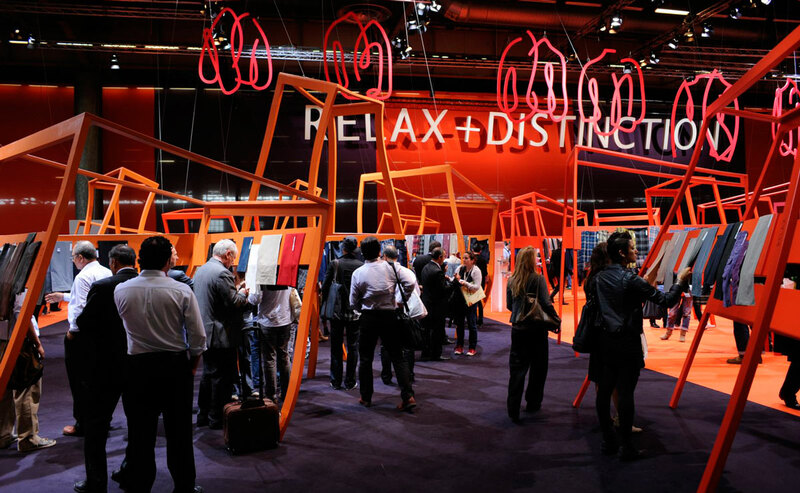 Maison & Objet is an event you must go to! At this event, you will be working alongside the most innovated professionals in the Life Style and Design industry. MAISON OBJECT Paris is all about interior design, decoration, textile and accessories. As soon as you enter this fairground you will be surprised by its stands. Full of life and color, it brings out the best of each company. Its many original designs and trendy backdrops bring this sector to a whole other level. Celebrated twice a year, it is one of the best events to participate in. The products and brands will be seen by 3,000 exhibitors and over 85,000 trade visitors. Book your stand and contact us today! With our help, we will find the best stand builders and designers just for you. 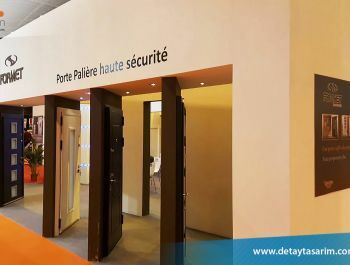 At the modern and most preferable venue for trade shows in Paris, France, Nord Villepinte will now host Batimat, the international trade show for those from the construction and architecture industry. Along with Interclima+Elec and Idéo Bain, the three shows will give exhibitors and attendees the opportunity to have the most beneficial experience in learning more, participating in, and preparing for the future of the construction and architecture industry. Not only will Batimat continue to grow with its new location at Nord Villepinte, but it has already attracted 400,000 visitors from all over the world in its past exhibitions. Of this large number, 96% were happy with the overall event, and 8 out of 10 of the visitors made purchases at the show. Thus, Batimat has not only received positive feedback, but also a majority of its visitors are expected to make purchases at the event. 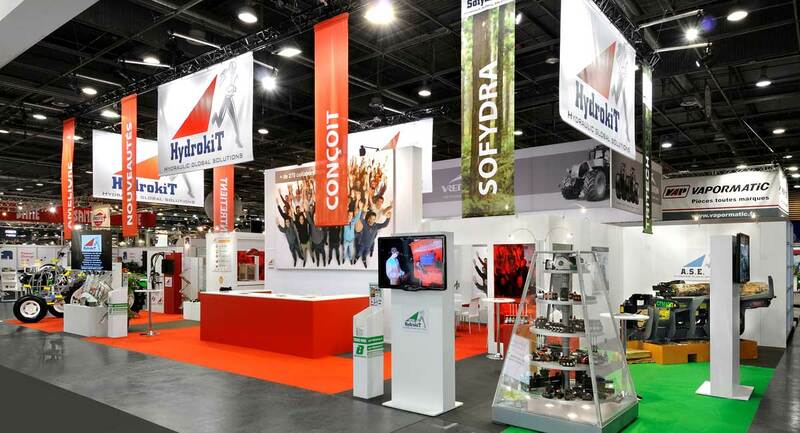 If you’re ready to reap the benefits of exhibiting at Batimat, book your stand today and we can help you find the best stand builder for your exhibit. 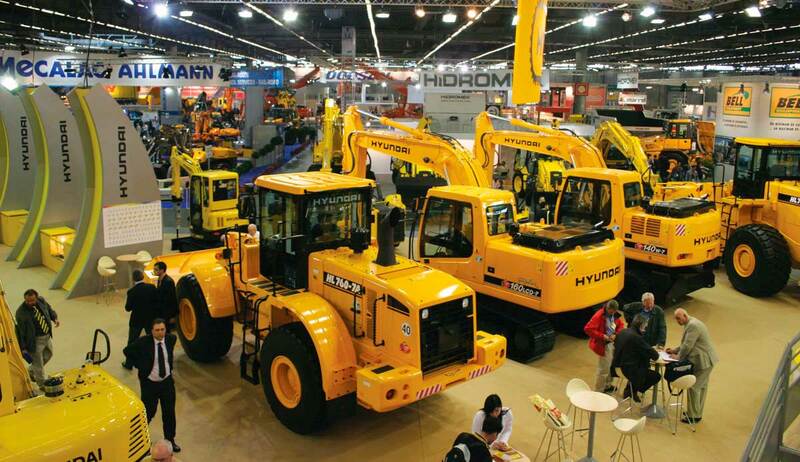 Intermat Paris is the must go to fair for the construction professionals in Europe. Celebrated every three years in the capital of France, it gathers the main representatives in every stage of construction. Anywhere from material production to creating technological and electronic applications. If you are going participate in the next edition and need a designer for your stand, contact us. Because among our local providers you will find enough options to meet your expectations. Sign up now to book your exhibition space and get all the information necessary to create different proposals for you. The world-leading course in interventional medicine, EuroPCR, is an annual event to improve personal patient care. The four day event works to aid the cardiovascular community in understanding more about personal patient care. By sharing their practices, knowledge, and experiences, the 675 presenters all offer unique points regarding the topics of the meeting. Not only does the meeting offer advice from some of the most experienced professionals, but also the event allows those from the medical interventions industry to network and come together to discuss some of the most pressing topics of the industry. If you wish to be part of this unique and beneficial meeting, contact nEventum today to learn more about the meeting and how you can get the most out of the experience. Design and realization for a Dutch company in the food non food sector. Clients wish was for a triangular space and organic shapes. De Priester designed this extraordinary exhibition stand with a king sized eyecatcher at a height of 6! meters. 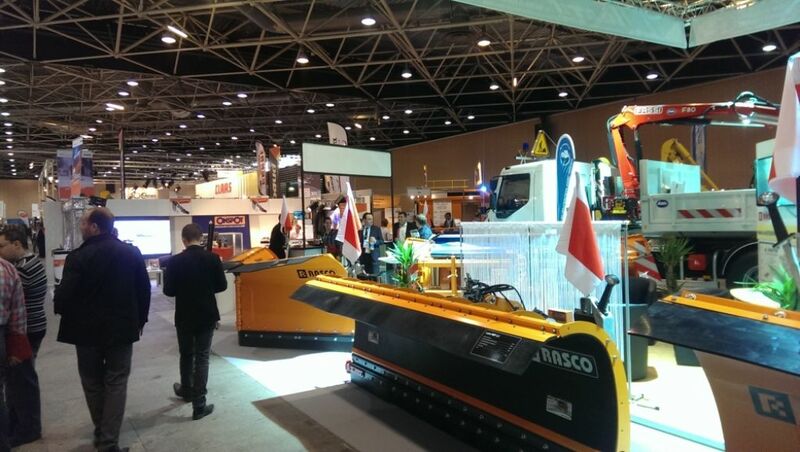 Find your perfect stand with us for SIMA 2015. If you are in the agricultural business, make this year yours. The stands in this multi-cultural, all informative, hands-on fair are unique and detailed oriented. As you are on the floor with 1,700 exhibitors from 42 countries, you are able to experience up close many of the 50 events going on in this fair. Its key events are equipment, crops and people and territories. Founded in Paris in 1922, it is the top fair to go and be in. This year you have the opportunity to set up meetings with potential clients and business owners. If you are convinced to join this top agriculture fair, feel free to contact us right away to book your stand. We will help you find the right builder, contractor or designer in Paris. In this fashionable event, we can encounter more than 400 exhibitors, more than 28,000 visitors in a more than 10,000 sqm fairground. The event contains information about all sorts of lingerie, including nightwear, corsetry, hosiert, body and more. 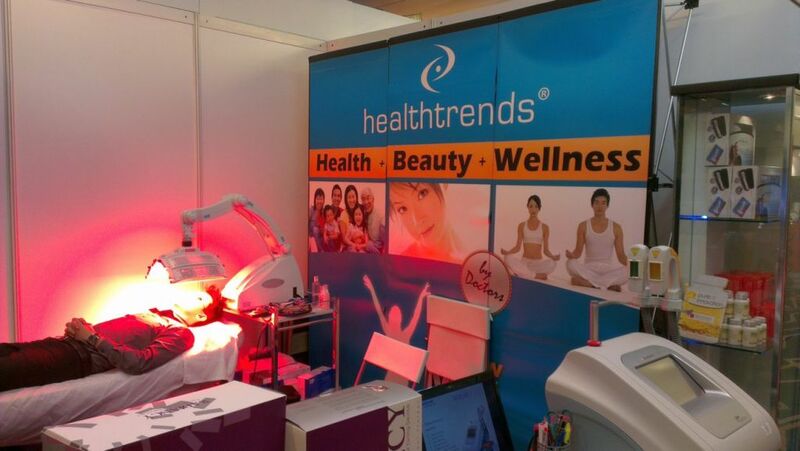 All the visitors are highly informed on the innovations and newest trends in their business. Get up to the latest in the Lingerie fashion with the most inspiring runway looks coming straight to you from around the world. If you need a stand for this top fashion event, don´t doubt in contacting us for more! 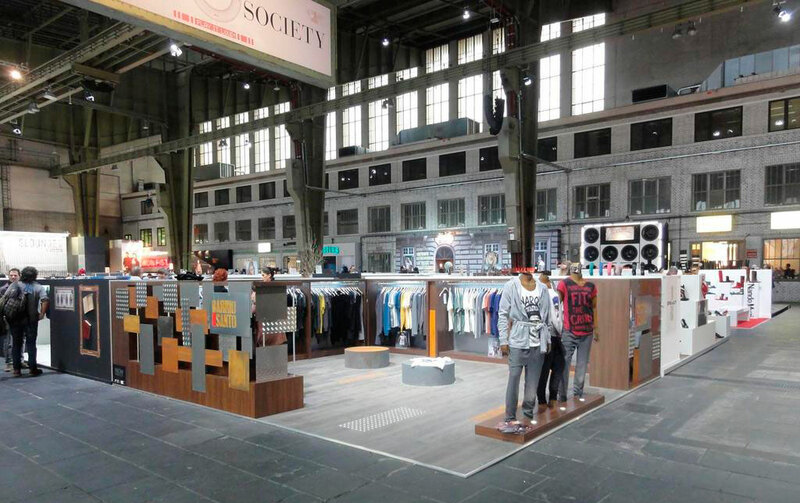 The global event for fashion professionals will welcome you for 3 days at Paris Nord Villepinte. Don't miss the opportunity of exhibit in 1 event with 6 complementary shows where the entire fashion industry meets. You will have access to the best fashion offers, novelties and last trends in the market. In addition of sharing your expertise and developed new collections in synergy with the needs of the fashion sector. They have a process of selections for those who want to exhibit, so if you want to be one of the privileged apply now and we will help you ti find the best booth designers in Paris. Take part in Who's Next experience and book your stand as an exhibitor! Who’s Next is a trade show for the fashion industry. Located in Paris, France, the show has many components that make it a unique event. Not only does Who’s Next have different exhibitors coming from various fashion-related companies, but also it hosts many events and special features throughout the duration of the three-day show. One of these features is a Trend Forum where visitors have the opportunity to pass through a walkway featuring the latest trends in fashion. This enables potential clients to view these items up close. In addition to the Trend Forum, the Retail Expert Club is another feature of the show where French experts offer advice and strategic plans for the different companies at the event. These unique features are among some of many exciting opportunities available at Who’s Next. In order to take part in this unique experience, book your stand as an exhibitor, and we will gladly refer you to the best stand builders in the area! 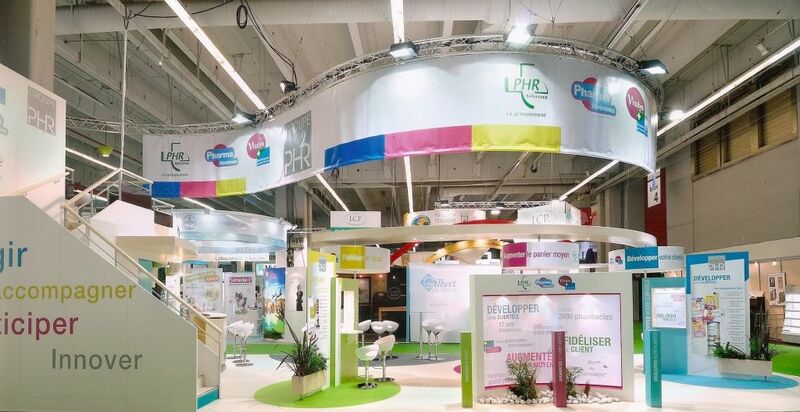 Stand contractors in Paris are not difficult to find; however, finding the right exhibition design companies in Paris is another matter entirely. 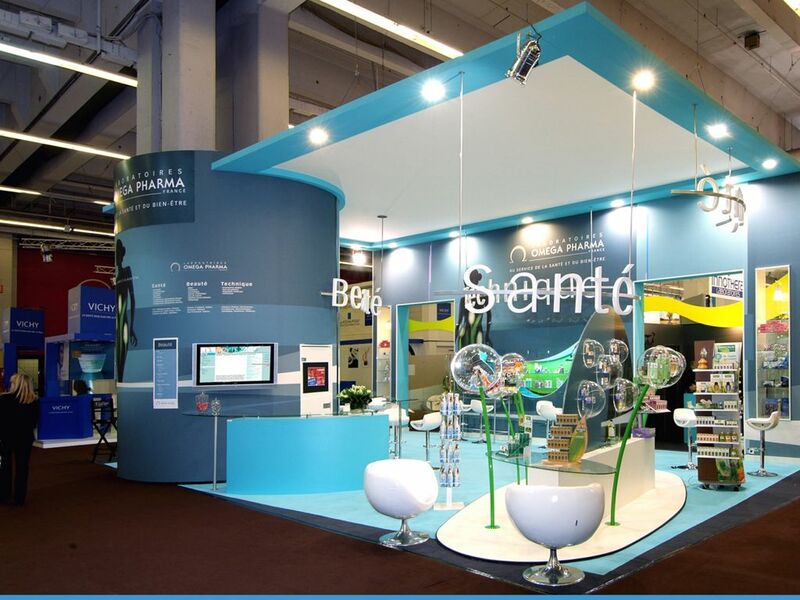 Because different exhibition stand companies specialize in different types of stands. 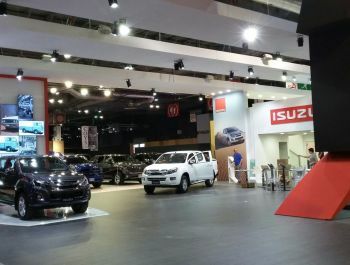 Even though you may get lucky and find a reputable company, they may not be able to give you the structure that you need for the tradeshow that you are doing at the time. In order to save your time when going through the many different stand design Paris companies, we are offering a service that can bring you the best designs for your particular needs. Free of charge, we will give you the five best designs from the top companies in France who specialize in the type of exhibition stand that you need. There are far too many distractions in Paris for your presentation to have any holes. If you want to stand up to the competition that you will certainly face at your trade shows, in you will need a structure that is able to withstand all of the changes that you will go through. There are very few trade shows in Paris in which you will not be asked to make a last-minute change of some sort. The best exhibition designers in Paris will be able to give you the structure that can modify itself based upon your needs. 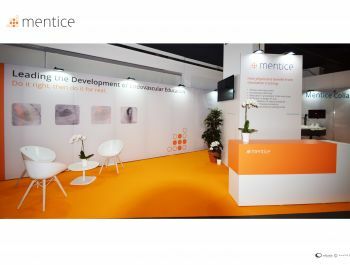 Let us help you define the exhibition stand structure that will best represent your presentation. Give yourself a chance to focus on the customer facing side of your presentation so that you can create the image that is necessary for success in a large tradeshow environment like Paris. We look forward to helping you create the perfect tradeshow experience for your customers. 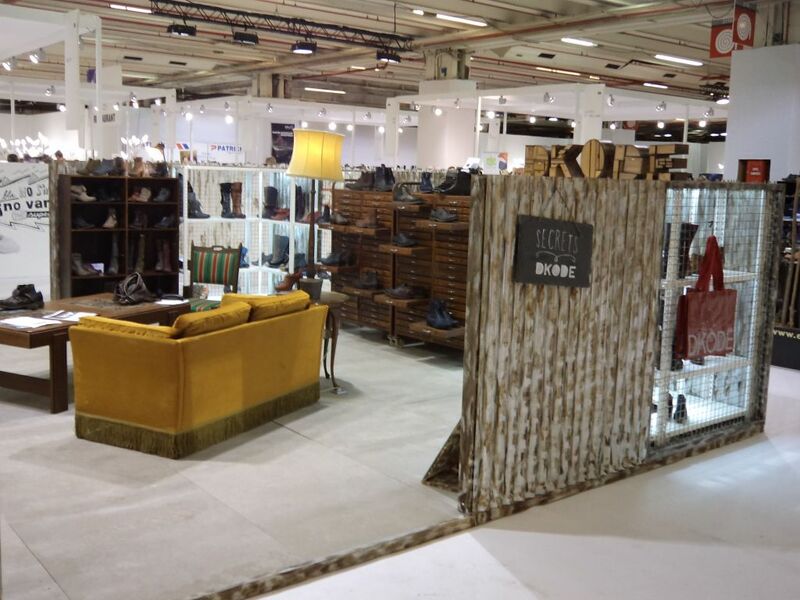 Let us take on the difficult task of finding the right booth construction Paris designer for you. Stand designers in Paris are a dime a dozen if you do not know the minute differences in the designs that each of the company specializes in. 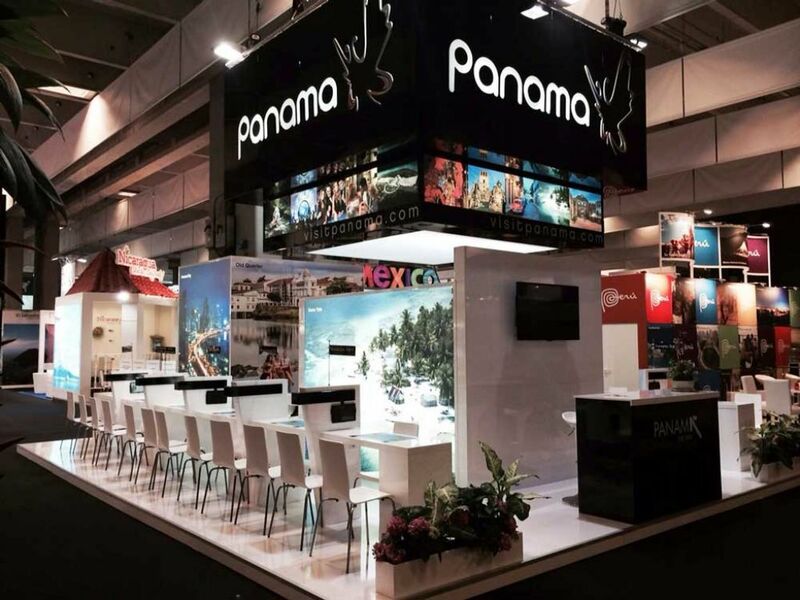 Finding the right booth designer in Paris company to fit your needs for a particular trade show can take up all of your time in the city. You need the help of a business that understands how the city is organized and has prepared exhibition tradeshow stands for companies in the past. 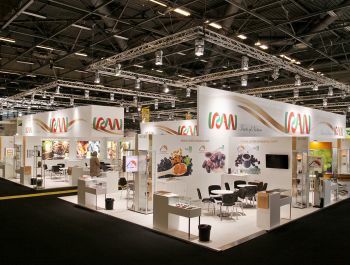 We are the business that can help you find the appropriate exhibition design companies in Paris. Our first service to our clients is to go to all of our exhibition design partners and ask them to design a stand for your specific needs. We will then bring you the five best designs that are also within your budget. 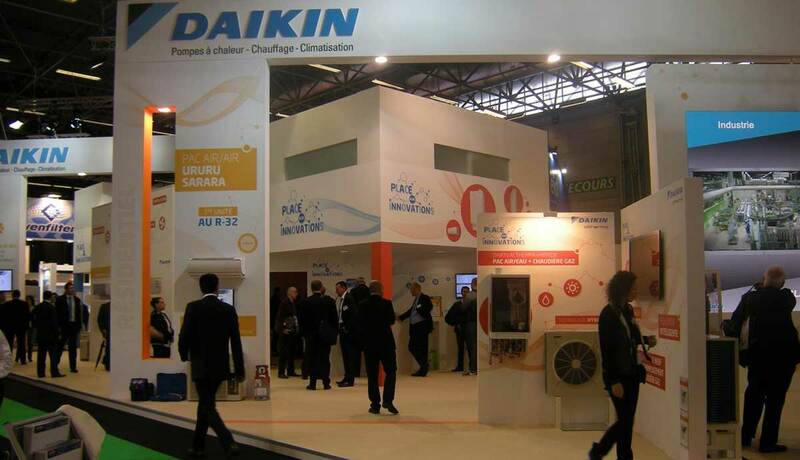 The best exhibition booth designers Paris has to offer will be at your beck and call. On top of that, you will not have to visit the storefront of each and every store in order to put yourself in this advantageous position. There is nothing better than knowing you have extra time to put into the preparation of your presentation for your trade show. In a high flying city such as Paris, you need a lot of pizzazz to get people to pay attention. 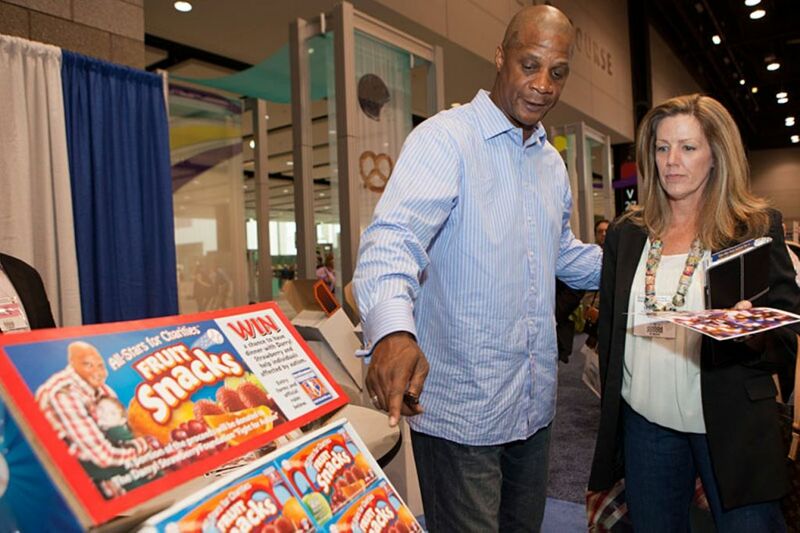 Only you know exactly what kind of presentation will make your tradeshow experience perfect. We can help you with the technical aspects of this decision-making process. Give us a call so that we can begin creating the infrastructure for your presentation. 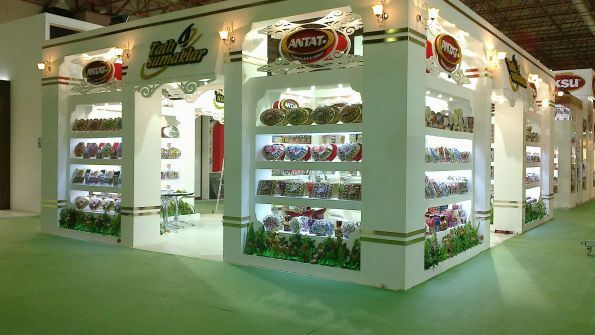 We will start with the companies that we have seen most efficiently prepare exhibition stands for situations like yours. Thank you for the opportunity to earn your business, and we hope to have a successful trade show with you in Paris!